There’s always a lot of background in Africa: MMBA as the colonial British frequently referred to it – Miles and miles of bloody Africa. The origin of this expression is variously attributed to Winston Churchill, Ernest Hemingway and Robert Ruark. In any event MMBA is always difficult to capture in a photograph. 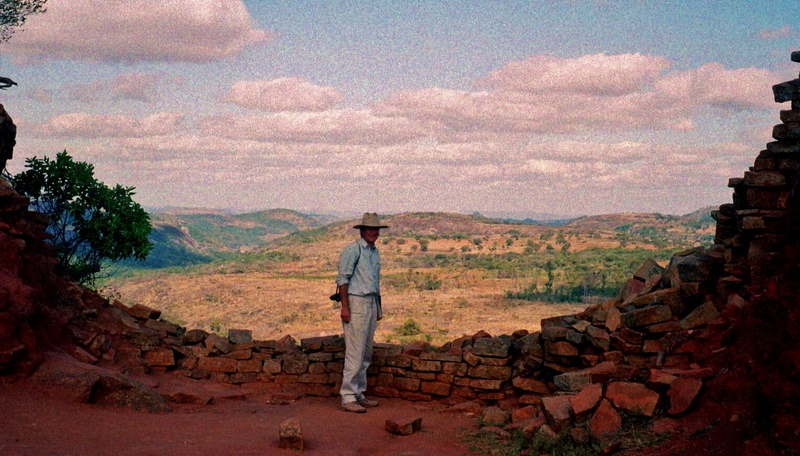 The shot above was taken from the hilltop ruins above Great Zimbabwe. 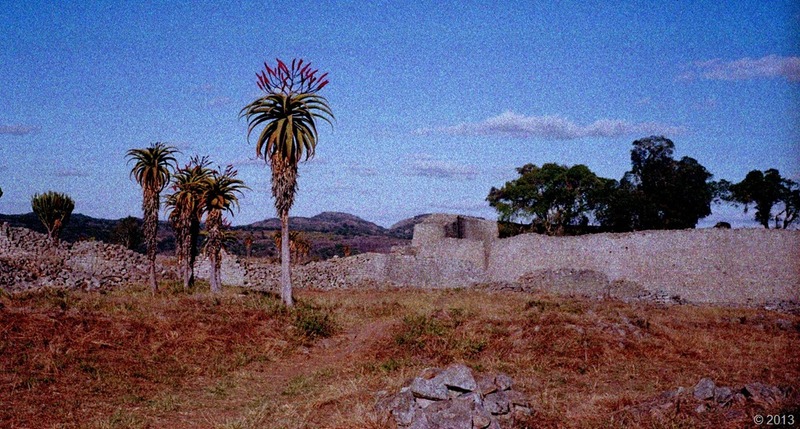 The original negative has degraded a little, but the photograph was also taken in winter-time when the landscape of southern Africa anyway takes on the aspect of an ‘old master’ oil painting. As ever when Team Farrell go travelling, Team Leader Graham was striking out in front – ‘Our Man in Africa’, while Nosy Writer was busy being nosy and fumbling with the settings on her Olympus Trip. Inevitably, TL ended up walking into NW’s line of sight. Here, though, I’m glad he did. He may be in shadow, but he provides a handy foil for the backdrop. It could be a stage set, couldn’t it? There’s definitely a sense of unreality. Some people may be surprised to know how often archaeology is used as a political tool, but it was, and still is. In the 1960s-70s when Zimbabwe, then Southern Rhodesia, was under the white rule of Ian Smith’s regime, history was again re-written. 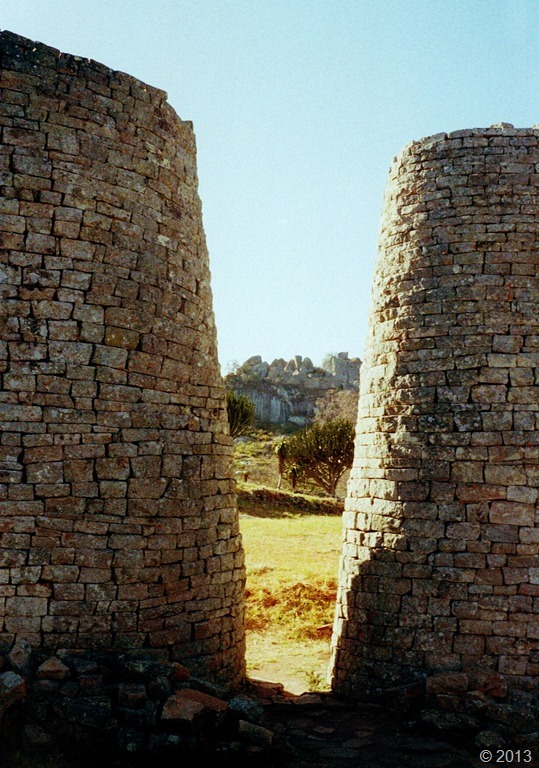 Any historians who dared to state that Great Zimbabwe was built by indigenous Africans put themselves at risk, and their work was censored. This led to the departure from the country of many prominent Rhodesian archaeologists including Peter Garlake, both an expert on the ruins, and Rhodesia’s then Senior Inspector of Monuments. 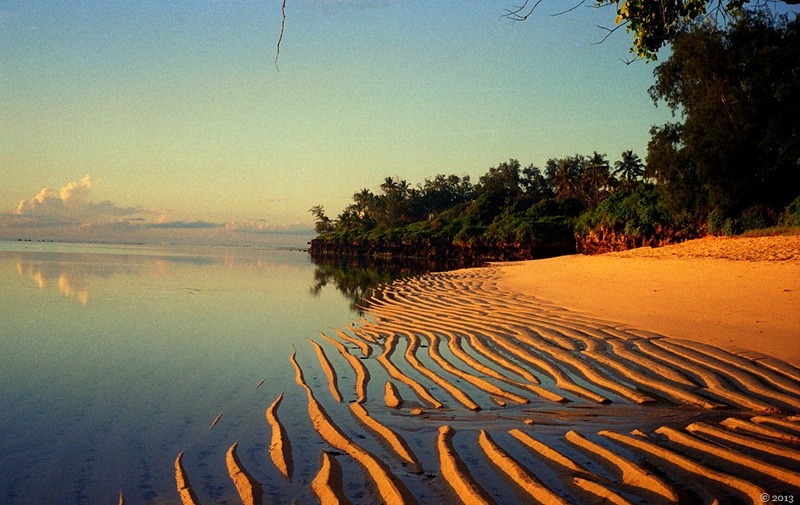 His excavations in the 1960s, and those of Paul Sinclair in 1986 fully demonstrate that from around 1200 AD to c. 1500 AD when it was abandoned, the Shona-speaking Karanga people built and lived in this extensive settlement. Estimates for the population over this period range from 5-30,000. It was a wealthy centre for cattle rearing and for cereal and cotton growing. 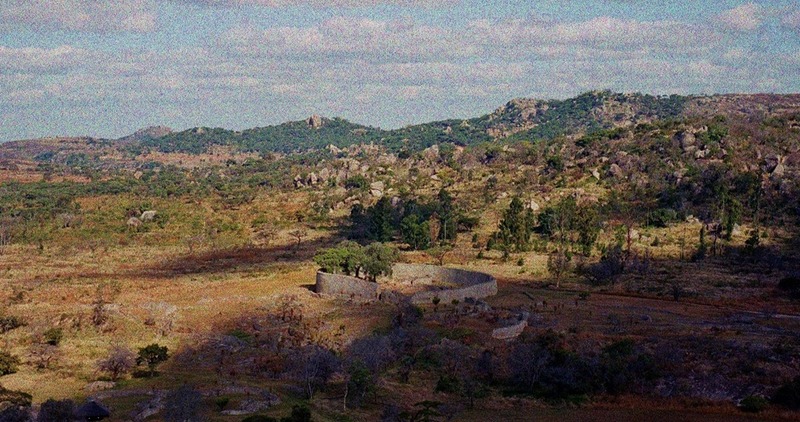 Gold from mines further inland was brought into Great Zimbabwe, its rulers acting as middle-men in the trade that extended to the Swahili city of Sofala on the Mozambique coast. In return for gold and ivory, the Karanga imported luxury goods – fine textiles, Persian and Chinese wares, including Ming porcelain. So much for Cecil Rhodes and his racist agenda. Although even in death this man manages to still make his presence felt. He chose to be buried in the Matobo Hills, territory of Ndebele people, and at a place known as Malindidzimu, Hill of Spirits. From here, also known as World’s View, I imagine that he thought he could continue to ‘rule’ Africa. The locals find the presence of his spirit here in their own sacred place quite offensive. Me looking small and very young inside the Great Enclosure. The walls are dry-stone granite – not a lick of mortar. 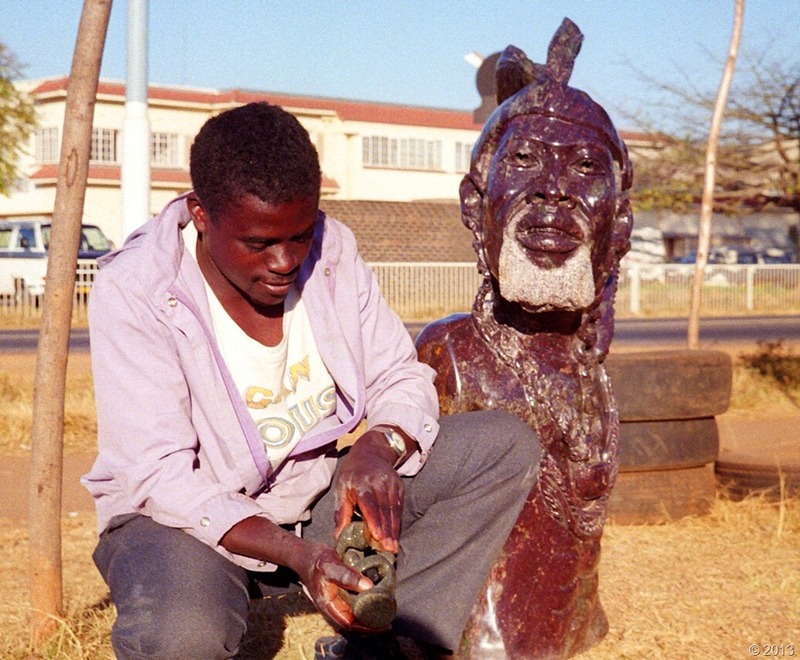 A roadside soapstone artist in Harare. This bust of a Shona elder is a common subject. Zimbabwe has produced some of the world’s outstanding sculptors. Looking down on the Great Enclosure. 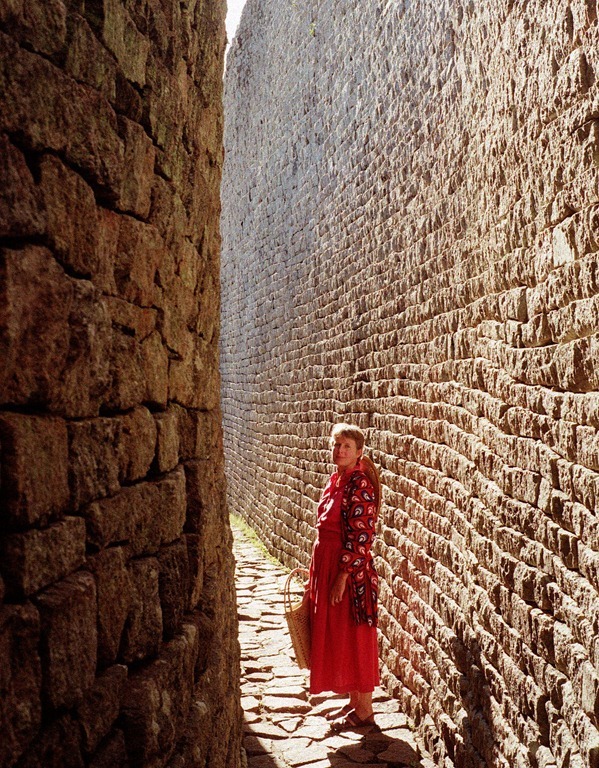 For decades many Europeans refused to believe Great Zimbabwe was an African settlement. 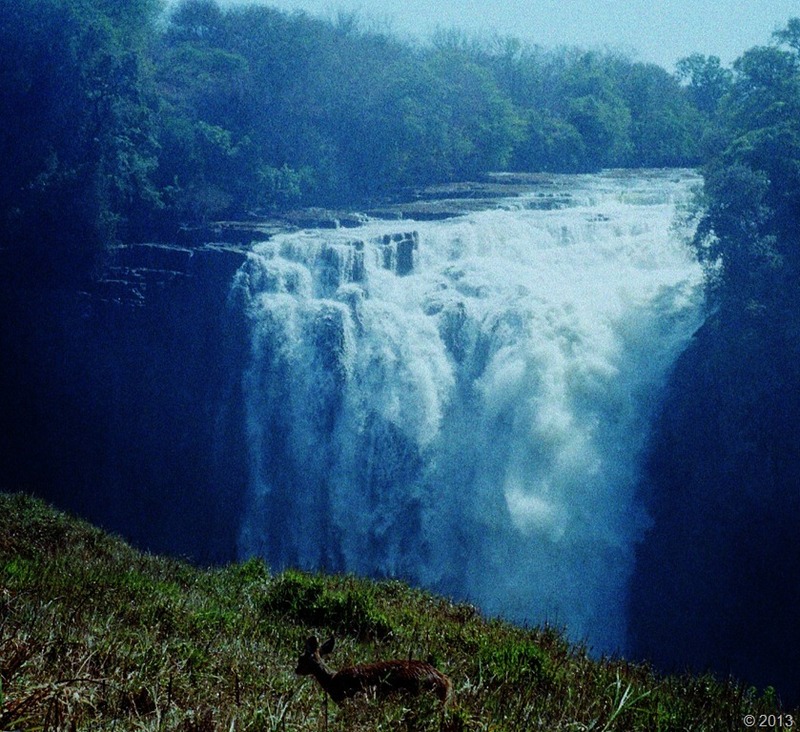 Victoria Falls through a misty spray of mighty Zambezi. 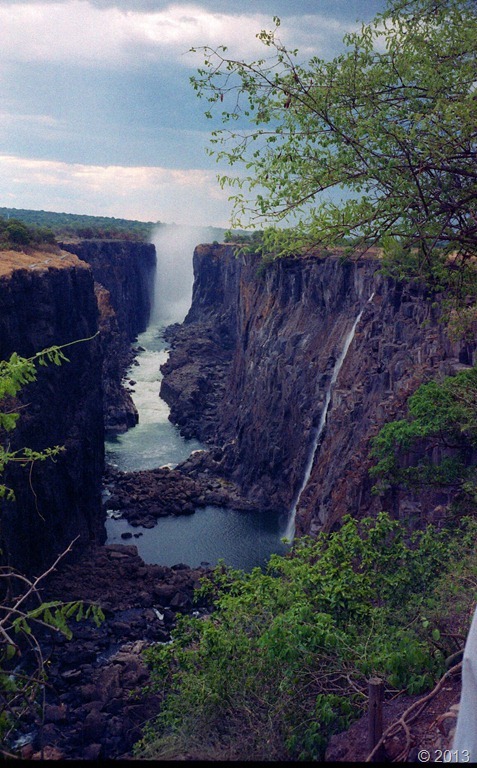 Victoria Falls from the Zambian side. Most of the water on this side of the Zambezi is abstracted. My wet kanga wrap nearly took me hang-gliding off the knife edge in a rainstorm, but that’s another story. 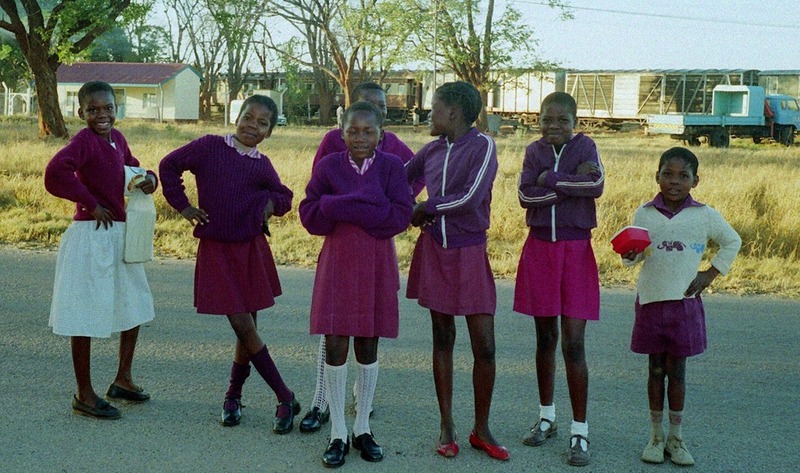 Dete school girls, with a train in the background! And finally, because this is Africa, there has to be shot with some elephants in the background. 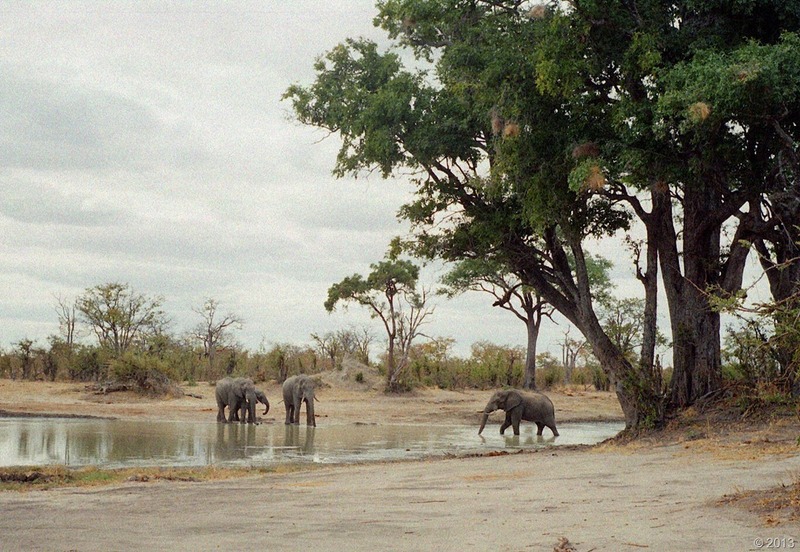 Taken in Hwange National Park. What does this face say to you? Naivety. Candour. Wistful intelligence. Vulnerability. A time long past? It is clearly an ‘old photo’, a studio shot. 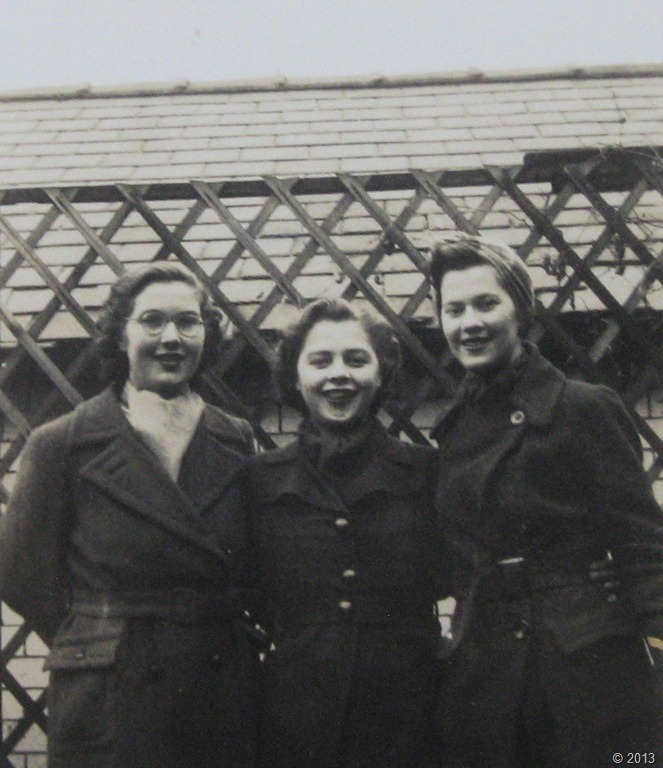 I also happen to know that it was made for wide circulation, part of the subject’s own personal war effort during the early 1940s when she tirelessly wrote cheering letters to numerous servicemen fighting overseas. This is my aunt, Evelyn Mary Ashford, my father’s little sister, thirteen years his junior. In a few weeks time it will be her ninetieth birthday, and although many who know her will mark this day with cards and kind words, it is unlikely that she will fully understand; these days her mind quite inhabits another zone. 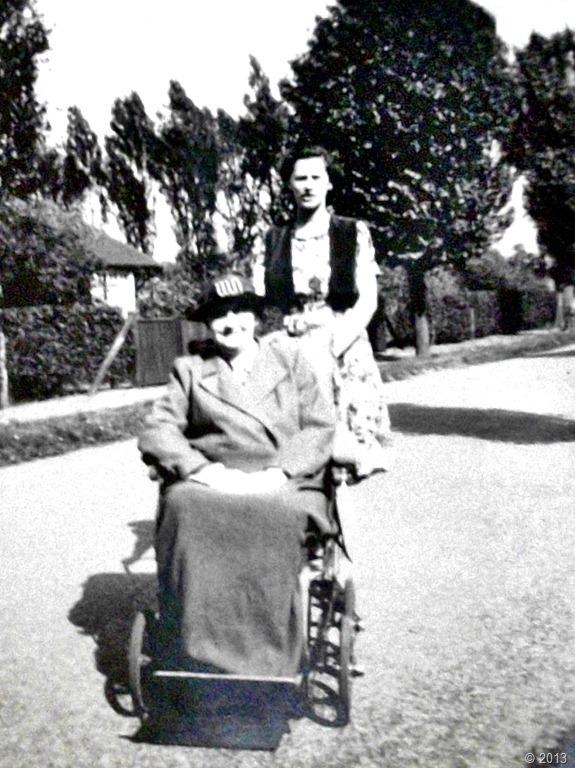 Her corporal self, however, lives in a nursing home in rural Wales where she is well cared for. Hers is a strong old body. She has survived a Luftwaffe bombing, diabetes, breast cancer, strokes, repeated acts of medical negligence and, most recently, recovered from a broken hip. Like many women of her generation, her spirit has also borne years of thwarted ambition, the denial of the higher education that her village school essays prove she deserved. As a country girl she has believed herself socially inferior. As a childless woman she has felt a misfit. As a daughter she has sacrificed her own longings to ‘be someone’ , first to leave school at fourteen years old to care for an invalid mother, later to take in a domineering old father whose presence further blighted the first fifteen years of her marriage. And while the physical wounds of the 1942 bomb blast were exquitisitely repaired – her face was miraculously re-constructed over four years by Professor T P Kilner, a pioneer in Plastic Surgery for disfigured service personnel – the psychological effects of her experience were never addressed. I of course have only known the older Evelyn, so I cannot say what it would have been like for her to suffer multiple facial injuries – to effectively ‘lose face’ in all senses. She was nineteen when it first happened, in love, the shining light of her village, and she also earned a living in a very public place as an assistant in Whites, a big Guildford department store. The effects, though must have been devastating. But then how do you begin to come to terms with your own injuries when you know that others were suffering far worse, or were dead, or that your particular wounds were considered a civilian casualty, and not the product of heroic self-sacrifice in action? Self pity, then, was not only NOT ALLOWED. It was seen as positively unpatriotic. These were the years of the ‘stiff upper lip’, ‘grinning and bearing it’, both hard to pull off with glass-torn flesh. There are, though, some later passing references to unresolved issues. 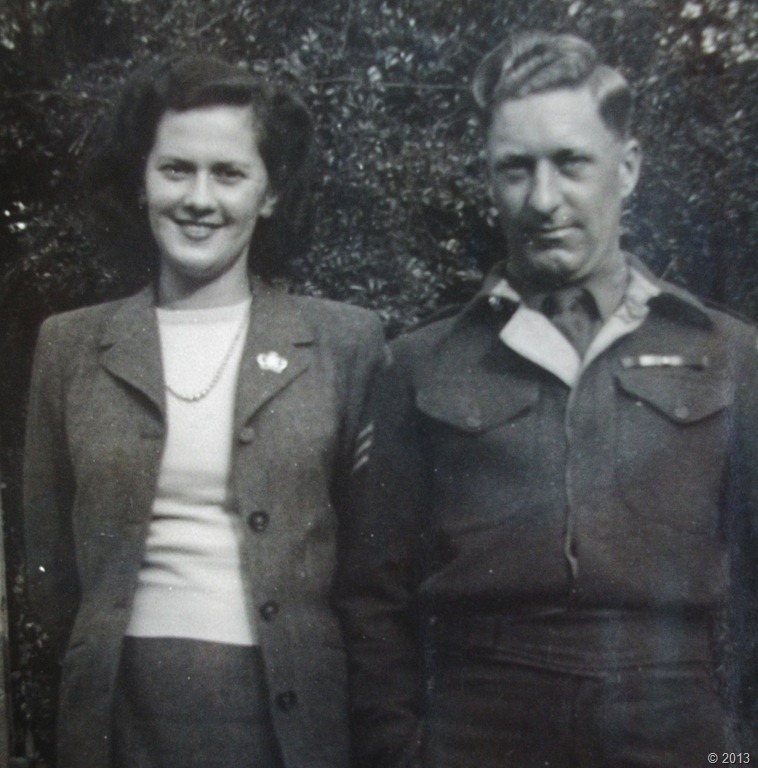 After the bomb blast Evelyn suffered from blistering rages which only her husband, Geoffrey Gibbings, was later to help her to overcome. It was December 16th 1942 when the German pilot of the Dornier 217 strafed and then dropped three bombs beside the 1.34 pm Guildford to Cranleigh train. It must have been half-day closing because Evelyn’s account, written a month afterwards, says it was a Wednesday and she was going home from work. The train on this line comprised only two carriages, and she and two other White’s girls, Marjorie and Avis, were the only ones in their compartment. as if someone had given me a crack on the head with a giant hammer and I was going down and down, then round and round into eternity. When she came to, she found herself hanging out of the corridor window with the remains of the door hung around her shoulders. Through the glassless window she first thing she saw was the three Canadian soldiers who had got on the train with her at Guildford. They were beside the track. One was badly cut and his clothes were in shreds. He held his companion as they sobbed together like children. The third soldier was dead, lying against their knees with a handkerchief over his face. In her muddled state, and before she passed out, Evelyn remembered thinking that they must have been in an accident, and that one of the soldiers was dead. Poor things, she thought. When she surfaced again it was to find that her own clothes in shreds and that the valise she had put on the seat beside her was pierced through by a shaft of wood. Marjorie had disappeared completely, and Avis lay under the debris, apparently unscathed but dead, with the usual quiet smile on her face. Later, it transpired that Marjorie had been blown out of the carriage. She had lost an eye. at last I ended up in hospital with no face or clothes to speak of…I opened my one good eye and saw a handsome face smiling down at me. This boy, as he looked to me, was in shirt sleeves and I, thinking he was a student, and being very light-headed…reached up and patted his face saying, “Hello, Sunshine” with the result that he had a lovely blood-stained cheek. He turned out to be the hospital’s leading surgeon and ever afterwards was known as Sunshine Allen. Seventy years on, there is no way of knowing if Evelyn remembers any of this. Over the past few years she has grown increasingly confused, and after several strokes has been unable to speak very well – a declining state generally described as ‘having dementia’. I know it is said that unresolved anger is a feature of dementia, and there may be a big element of this in Evelyn’s mental retreat – years of repressed frustration perhaps. But wherever her mind is now, I feel it is there, somewhere, tracking in a parallel universe. It is our loss that we can no longer communicate with her in this new world. As the keeper of her notebooks and letters, the fragments of her life, I now find myself the custodian of her memories. This of course is flawed in many ways. A long family feud meant that I did not really get to know Evelyn until later years. 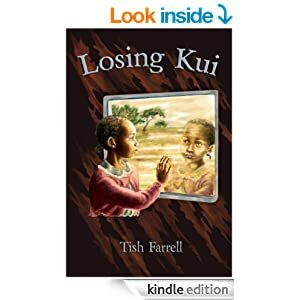 We wrote to one another while I was in Africa, and I knew she always led a hectically busy life within whichever community she and my uncle had made their home. I never had the chance, or even thought to ask her about her life; how it had really been. I knew her only in the present where she was an expert horticulturalist, seamstress, good cook, great reader, great letter writer, dedicated Women’s Institute judge and committee member, animal lover, church goer, former small-time sheep farmer and generous friend to anyone need. I also knew that my mother had been deeply jealous of her. Evelyn’s archive is not extensive. It includes some of her village school essays from 1936-7, notes for lectures given to her gardening club and the W.I, and a fraction of her lifetime’s correspondence with friends around the world. There are also two day-books of newspaper cuttings and her commentaries upon current affairs dating from the late 1940s to the 1960s. Finally there is a notebook of creative writing pieces. My aunt wanted to be a writer; was so thrilled when my own work began to be published. All her life she strove to cultivate herself, and on all fronts. There appeared to be no subject that did not interest her. Coming from a background with a Victorian father who thought it more important that his daughter be apprenticed to a draper’s than to go on to high school, and then marrying a stalwartly middle class man who thought wives should stay at home, she later sought her educational opportunities within the seemingly unchallenging sphere of the Women’s Institute’s Denman College. Here she attended all manner of courses whenever the chance arose, then passed on her knowledge wherever she could. At seventy nine, and much to her husband’s bemused irritation, she went to word processing classes so she could write up her lecture notes in a more orderly fashion. Clearing her home, I found her notes on the letters I had written from Africa. Naturally she had turned them into one of her talks. But perhaps in the end it is best to let the photographs of Evelyn tell their own story. Here, then, are some of the many faces of Evelyn Mary Ashford, glimpses of a life well lived. She truly is an inspiration to all who have had the pleasure to know her. Evelyn around a year old. 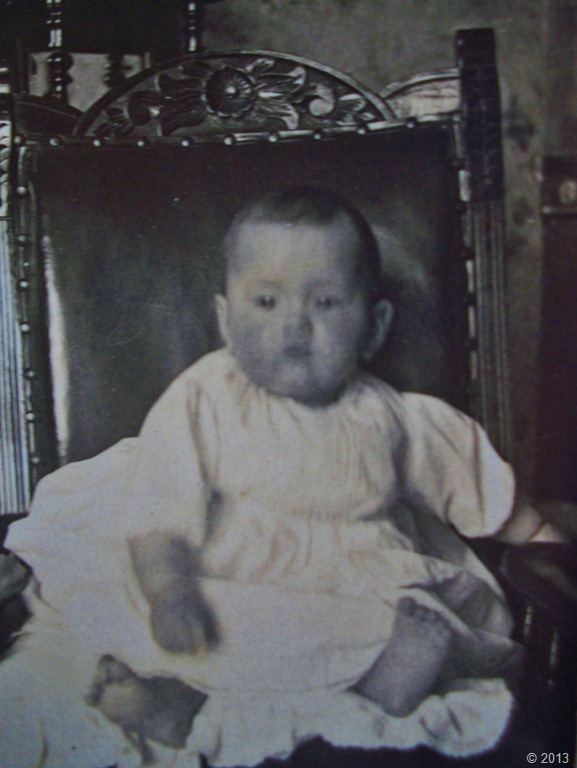 She was born at Redhurst Cottages, Cranleigh, Surrey in 1923. 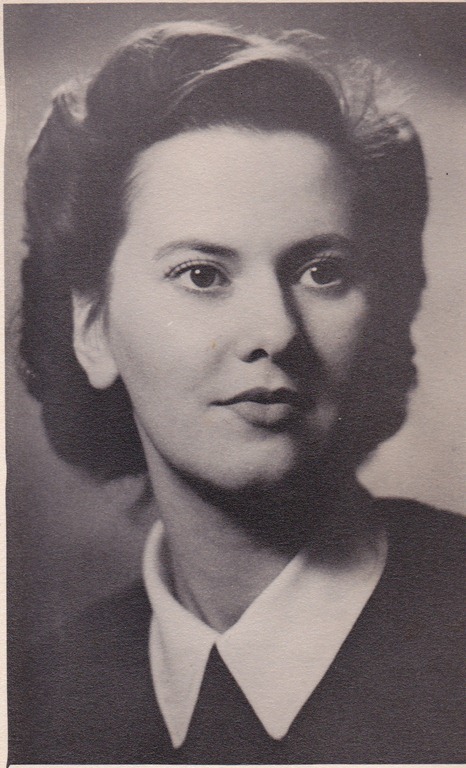 Her mother Alice, was a Streatham girl and former cashier for Sainsbury’s. Her father Charles Ashford was Head Gardener at Redhurst Manor. 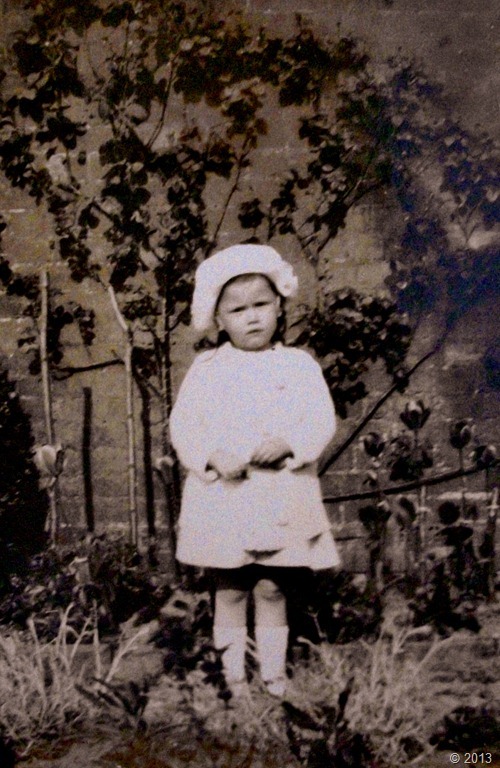 (Below) Aged three, in the walled garden at Redhurst. Her life-long interest in horticulture began in this garden, listening to her father’s instructions to his men. 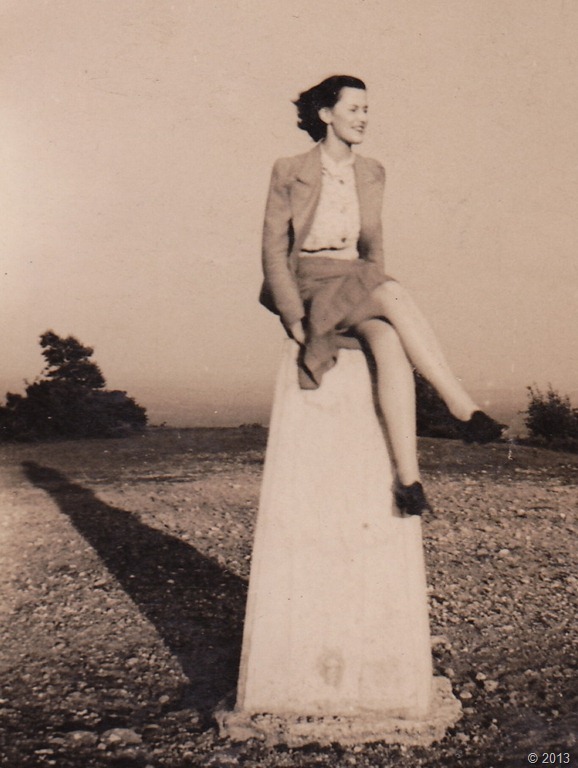 At Pitch Hill, aged around fourteen (1937). This was her last year at school. In an English exercise of that year she wrote: “These are the things that I want in life: 1. A library of my own; 2. All Rudyard Kipling’s Works; 3) lots of money so that I can make poor people happy.” She also wanted to have lots of REAL friends and play Madame Defarge in a stage version of Tale of Two Cities. 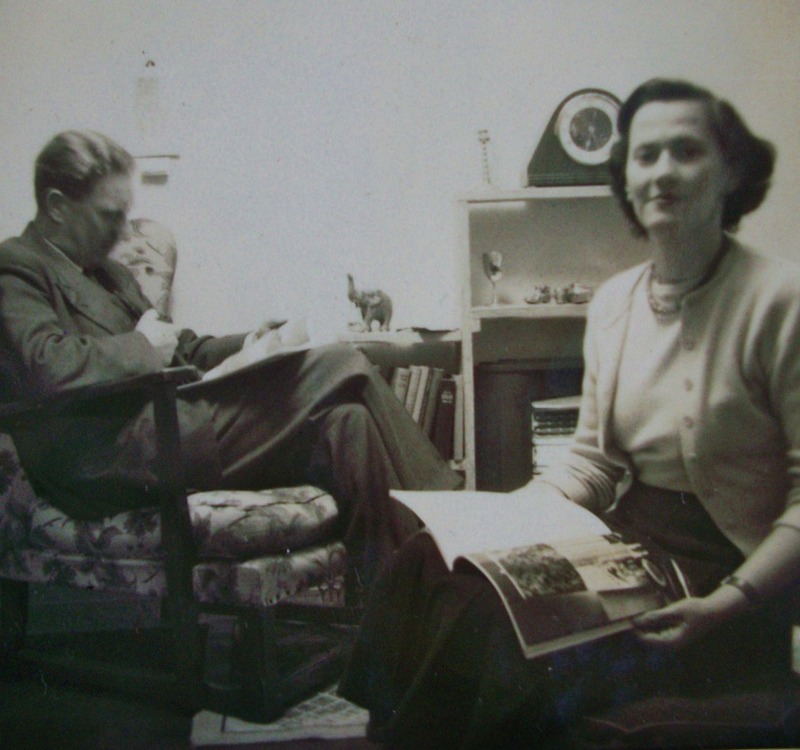 The people she most wanted to meet included Jean Batten, famous New Zealand aviator, H.G. Wells and Alfred Hitchcock. 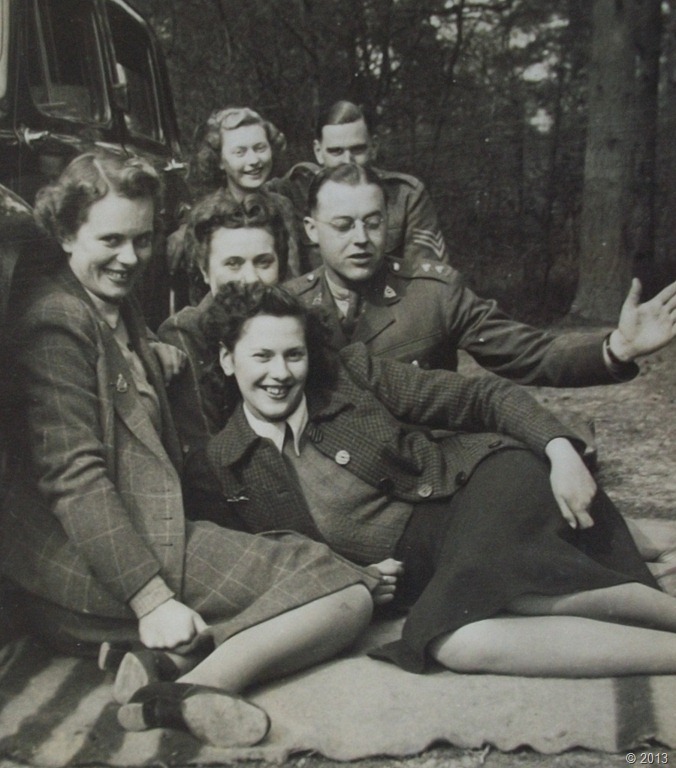 In 1941 the 2nd Royal Gloucester Hussars were billeted in Cranleigh where Evelyn’s family lived. This is how Evelyn met her future husband Geoffrey Gibbings. He is taking the photograph of this, the ‘Hoy Gang’ picnic on Pitch Hill. Later that year the 2nd RGH was posted to Libya to fight in the North African Campaign. Evelyn did not see Geoff again until the end of the war. 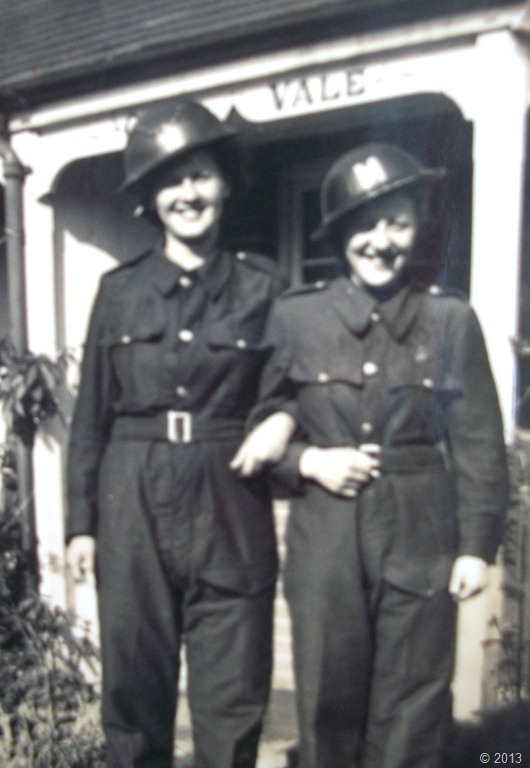 Evelyn as an ARP (air raid protection) volunteer (left). Looking after mother (right). On the roof of White’s department store with her fellow assistants (bottom). War’s end and engagement to Geoffrey Scott Gibbings. He twice escaped capture by the Germans while fighting in the desert. 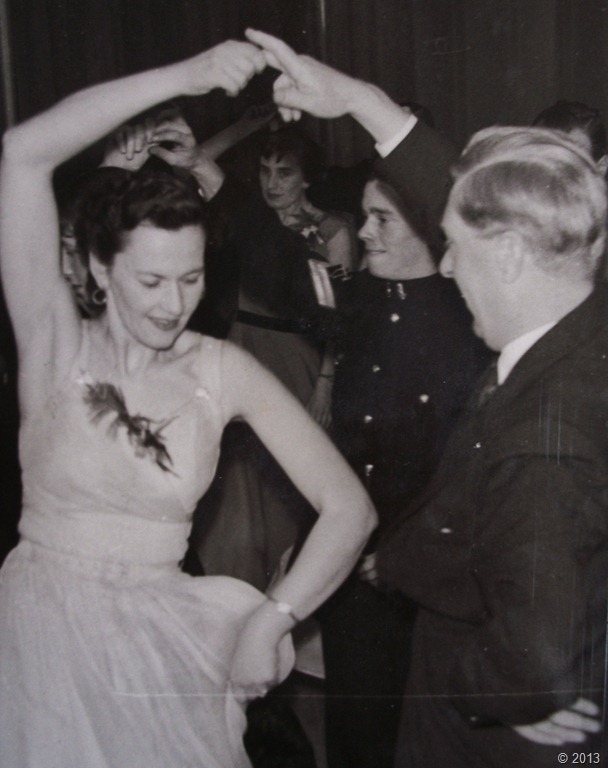 (Below) At the New Year’s Eve Southampton Motor Club dance c.1955. After the war, Geoff worked in the motor trade for the rest of his working life. Somehow this last photo tells you everything you need to know about Evelyn. May her dance go on in some part of her mind. 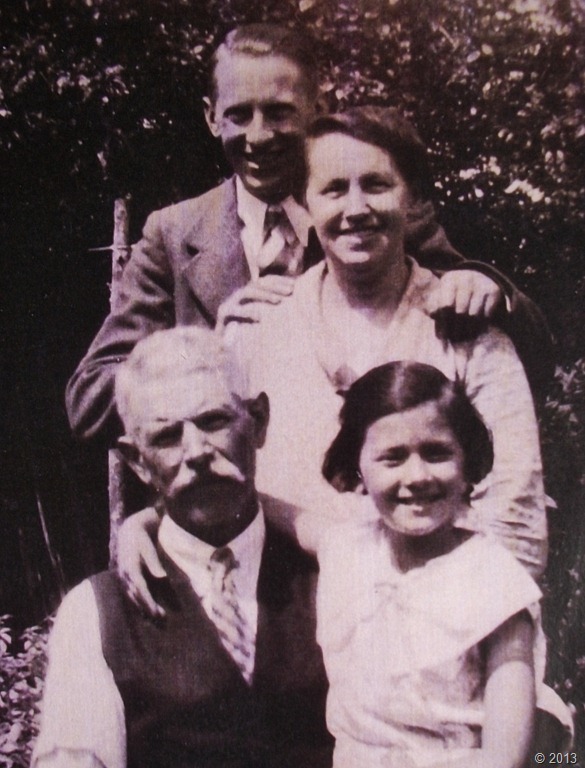 And many thanks to Su Leslie for her inspiring Shaking the Tree blog on her family history. 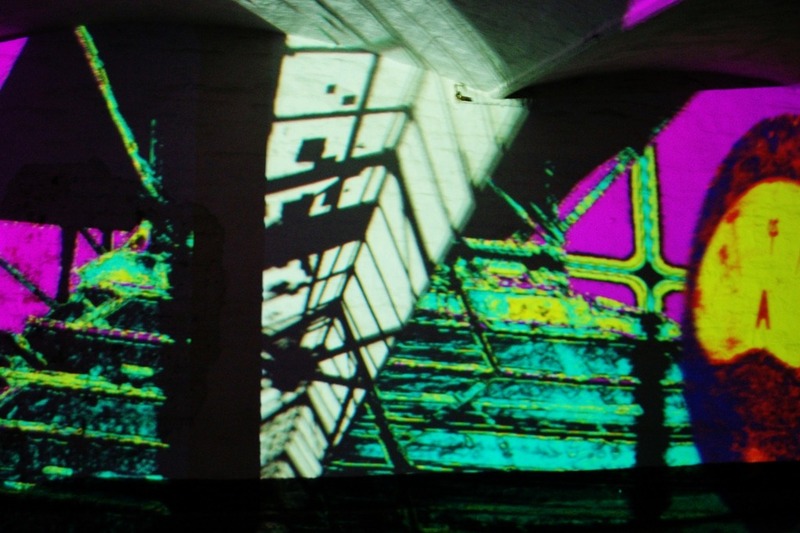 At first sight there may seem to be no connection whatsoever between Andy McKeown’s magical lightshows (Fractured Light) and the skylines of NYC, Dubai, Chicago, Hong Kong. But believe me there is. In fact there are some clues in the photo below, although they are heavily disguised by the giddy maypole effect of light streamers. Architects should spot them, though – the slender columns of cast iron. And this is where the another kind of pattern comes in – not in the spectacle of fractured light, but in the venue. On the 11-12 May 2013 the Friends of the Flaxmill-Maltings held an open weekend so Nosy Writer and hundreds of other nosy people could look round this old industrial complex, perhaps for the last time before renovation work begins. Since the buildings have been lying derelict for decades this was something of a celebration, hence the performances by musicians, craftspeople and artists all over the complex. 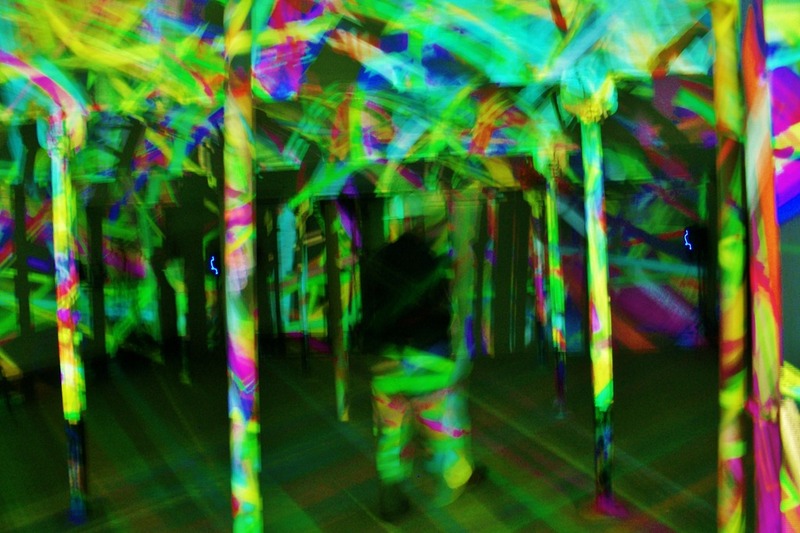 Andy McKeown’s ‘Fractured Light’ was up on the third floor of the Cross Mill, and without the entrancing light show the place would have been dank, cold and cavernous. It was originally the mill where hackling or flax dressing took place, and is part of a late eighteenth century iron-framed building – the first of its kind in the world. 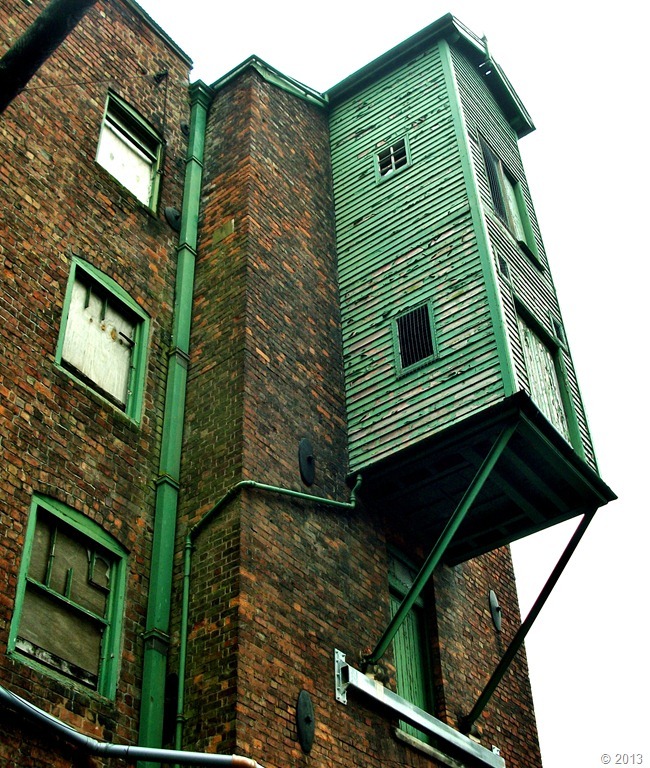 This is Bage’s Flax Mill in Shrewsbury, Shropshire, the place where, in 1796-7, the makings of the skyscraper began. 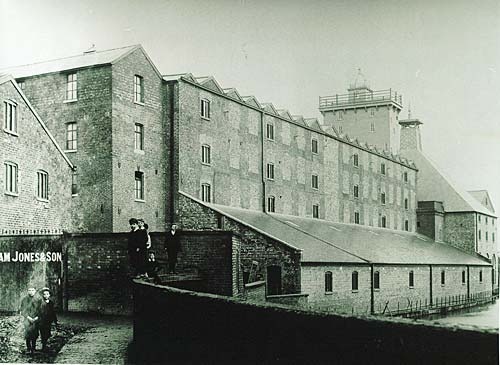 Above is the building around the end of the nineteenth century after it had been converted into a malting factory. The main five storey block was the original flax mill. And its connection with the Manhattan skyline? 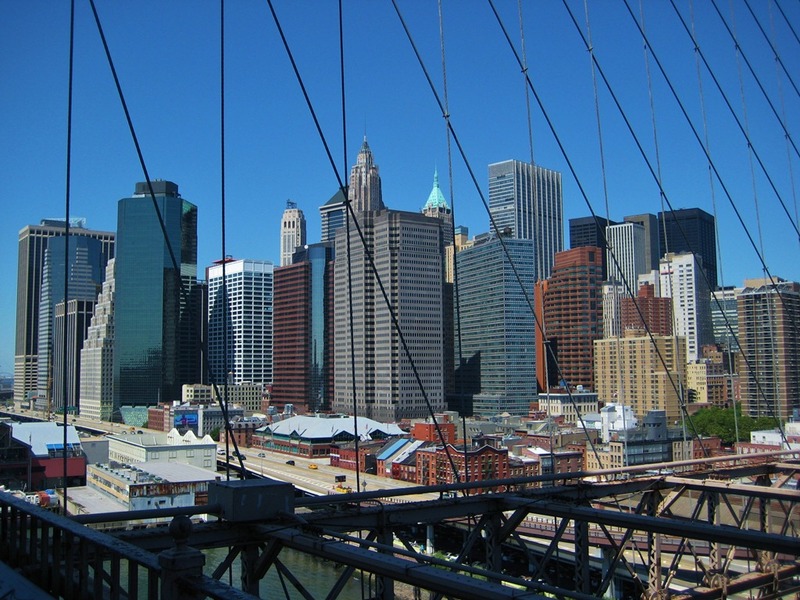 …a constructional frame of iron columns and beams that ever since has allowed buildings to go upwards. 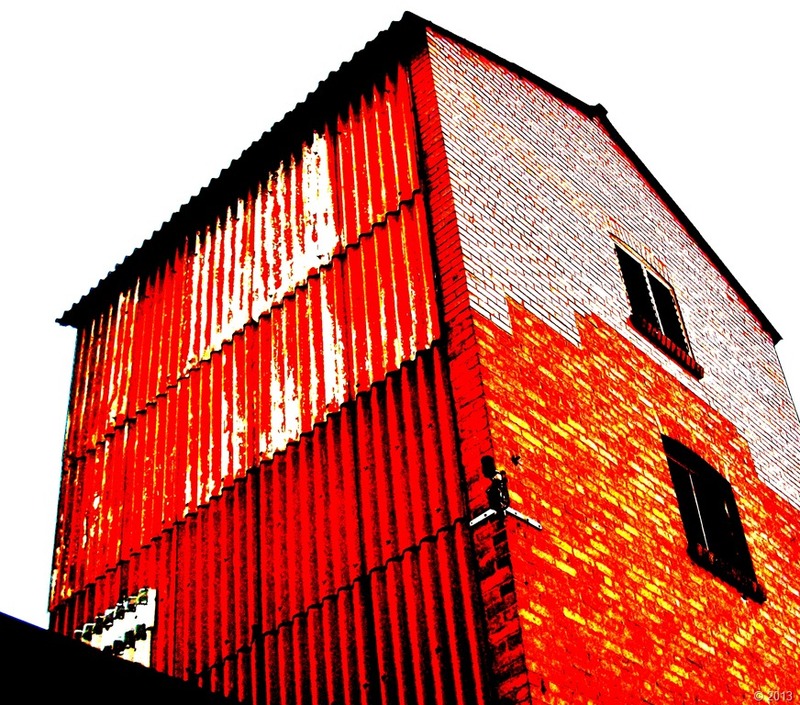 As with many great innovations, the development of iron framed buildings was prompted by disaster. In 1796, linen magnate, John Marshall and Shrewsbury businessmen, Thomas and Benjamin Benyon had suffered severe financial losses when their timber-built mill in Leeds, Yorkshire, caught fire. Such fires in textile mills were all too common. Flax and cotton dust are highly combustible, and not only were the early mills built extensively from timber, they were also candlelit. And so when Messrs Marshall and Benyon had the opportunity to develop a new flax mill in Ditherington, Shrewsbury, a fire-resistant building was what they required. And a good part of the answer lay in an up and coming new material – cast iron. The late 18th century was the age of cast iron. It was the revolutionary material of choice for engineers and architects of vision. In 1781 the spectacular unveiling of the world’s first iron bridge had taken place at Coalbrookdale, a few miles downriver of Shrewsbury. It was a PR stunt of breath-taking proportions: to use this untried material in such a dramatic and highly visible setting. But it was not all bravado. There were practical considerations too: the need to span the Severn in order to make a more convenient road link between various iron works, thus replacing a treacherous ferry crossing. Then there was show-off element of achieving this with a single arch that was tall enough to allow swift passage for the sailing barges that plied the Severn from Bristol to Shrewsbury. Usually these large cargo boats had to lower their masts to go under the Severn’s many stone bridges. At the time, then, the Iron Bridge was a new world wonder and a magnet for celebrity visitors. Coalbrookdale ironmaster, Abraham Darby III, was the man making his pitch for the utility of cast iron, egged on by business associate John ‘Iron Mad’ Wilkinson whose works across the river from Coalbrookdale were being served by the new bridge. When in 1795, the Iron Bridge was the only bridge to survive unscathed the massive river floods of 1795, it more than sparked the interest of Thomas Telford, ‘Father of Civil Engineering’. At the time he was also in Shropshire, working as County Surveyor. He went on to devise his own astonishing uses for cast iron, not least the Pontcyssylte Aqueduct near Llangollen in North Wales. But if all this constructional enterprise in iron seems a bit old hat to us now, then perhaps we should try thinking of the River Severn in Shropshire as the Silicon Valley of its day. Cast iron helped drive the Industrial Revolution in all its component parts; it brought us to where we are today. The world’s first Iron Bridge, built by Abraham Darby III and opened in 1781. Today, it is a world heritage site and still spans the River Severn in Ironbridge, Shropshire. 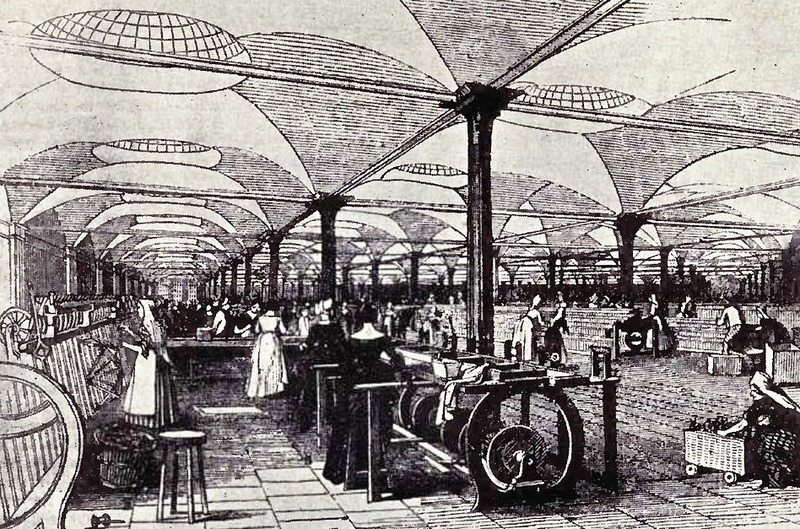 While technological developments were proceeding in Shropshire, the possibilities of using iron in industrial buildings were also being explored by Derbyshire cotton spinner and architect William Strutt. He was particularly concerned to find a way to make cotton mills more fire resistant. To this end, he developed the shallow arched brick ceilings with tiled and plaster floors that his friend and fellow Derbyshire man, Charles Bage was later to use in the Ditherington Flax Mill. He also used sheet iron to encase the mills’ timber beams to inhibit fire damage. All these measures he discussed by letter with Bage who shared his interests. And in 1776 Bage, just happened to be a wine merchant and surveyor, working in Shrewsbury. And so as the old A-Team phrase would have it, here we have a good plan coming together. Charles Bage was engaged by Marshall and the Benyon Brothers to design their flax mill. There on the banks of the Shrewsbury Canal that Thomas Telford was just then completing, he would create a quite novel construction in iron, and since this was pioneering stuff, he decided to take nothing for granted. He set about undertaking a series of experiments to test the structural properties and strength of iron, and so established the modern discipline of structural engineering. The papers with his calculations still survive. The Ditherington Flax Mill, then, was the first mill to be built from brick and iron. It was this mode of construction that led the way for the development of multi-storey, fire-resistant buildings, and whose techniques were later adapted for the rebuilding of Chicago after the Great Fire of 1871. 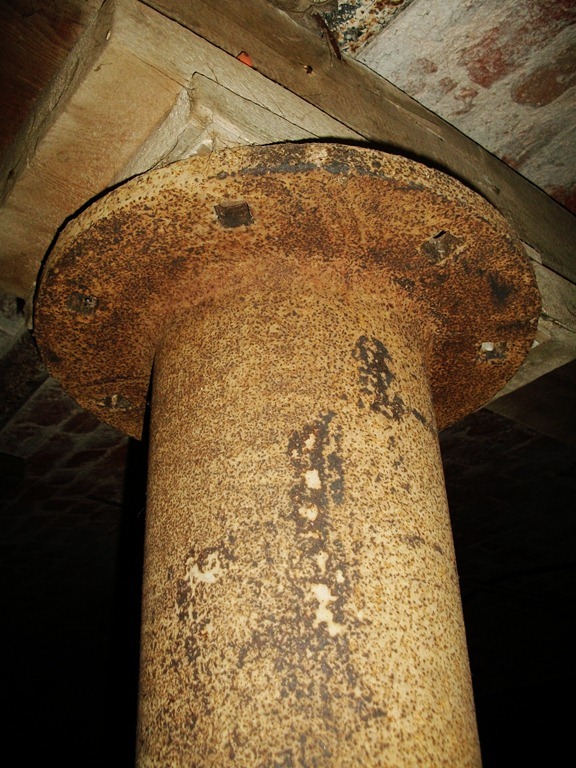 Cast iron pillar on the ground floor of the flax mill warehouse. But this is where the story of entrepreneurial enterprise and invention takes a nasty turn. We are, after all, also talking about the growth of the factory and and the enslaving of human beings to the demands of machines and mill owners. In the 1840s there were 800 employees at Ditherington and, as time went on, more than half of the workers were under twenty years old, with some as young as seven. These were the apprentices, mostly orphans and illegitimate children despatched from parish Work Houses in order to learn a trade. At Ditherington, the conditions were reputed to be better than most mills: accommodation in the Apprentice House was strictly segregated, and the welfare and moral upbringing was overseen by a manager. Even so, working hours were long and life was tough. There were cruel and vindictive overseers who beat the children for the slightest mistake, or dipped them head first into a water cistern if they dozed off at their work. Despite such indictments, John Marshall saw himself as a benign employer. He believed that treating his workforce well meant they would work harder and yield greater profit. He thus provided ventilation and heating in the work rooms, and in time added baths and changing rooms. Also in 1834 when there were 92 child employees, they were by then allowed two two-hour sessions, morning and afternoon, for lessons. Even so, the processing of flax on this vast scale, was a dusty, unpleasant business. The crop had to be dried, then de-seeded by threshing and combing. Then it was left to partially rot for up to three weeks so the stems could be peeled away from the useful fibre. Next this fibre was dried, separated and combed by machine and finally twisted into yarn on spinning machines. Throughout the 18th century, linen was a hugely important textile. In Shrewsbury flax yarn production took over from the dwindling wool industry, employing many of its skilled workers. During the Napoleonic Wars (1799-1815) Ditherington was supplying the yarn to make Britain’s military uniforms. But with successive generations of owners, and doubtless the growth of the Lancashire cotton industry, the mill began to fail, finally closing in 1886. Some ten years later it had a new lease of life. 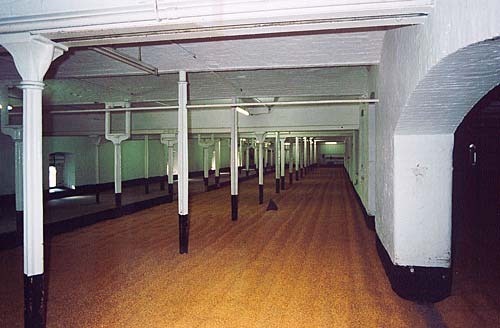 The five-storey building was converted into the Maltings, making malt for the brewing industry. These works finally closed 1987, and since then this extraordinary building has been left to fall apart, despite being a Grade I listed building. This, though, is hopefully about to change. 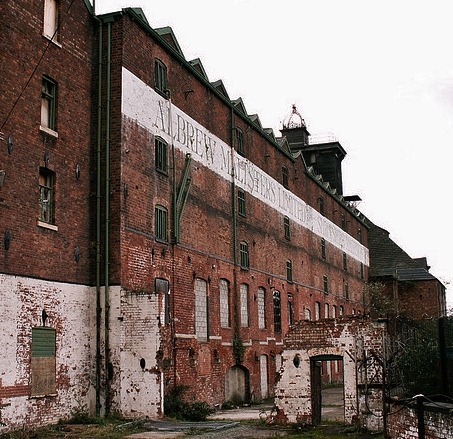 Finally, on the verge of collapse, and after much campaigning by the Friends of Flaxmill-Maltings, a partnership of English Heritage and Shropshire Council has put in a bid for funding from the Heritage Lottery Fund. Their plans include a massive regeneration scheme, bringing environmentally friendly office and workshop space to a currently depressed part of Shrewsbury. Perhaps at last this landmark structure will have a bright new existence, and just as Andy McKeown’s light show amazed and energized the Open Day visitors, infuse its occupants with life-enhancing potential, banishing the ghosts of dismal exploitation. In the meantime, Nosy Writer, like many others, is rather keen on scenes of industrial decay. 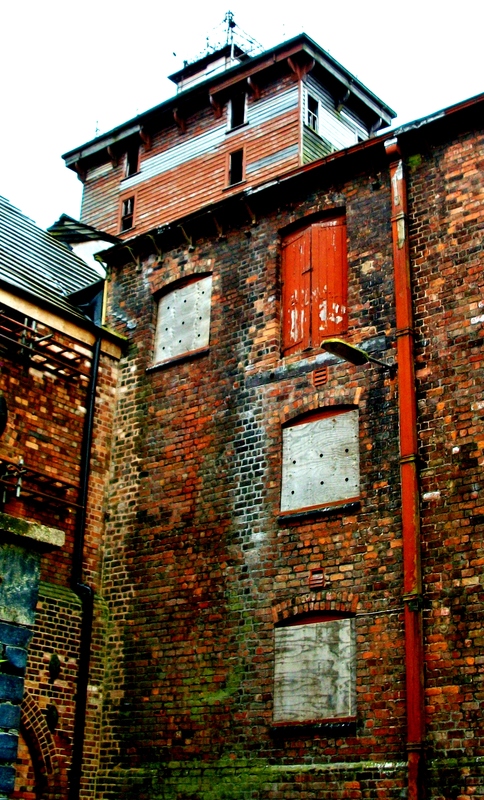 So here are a few shots of the Flax Mill-Maltings – pattern of bricks, timber and iron. 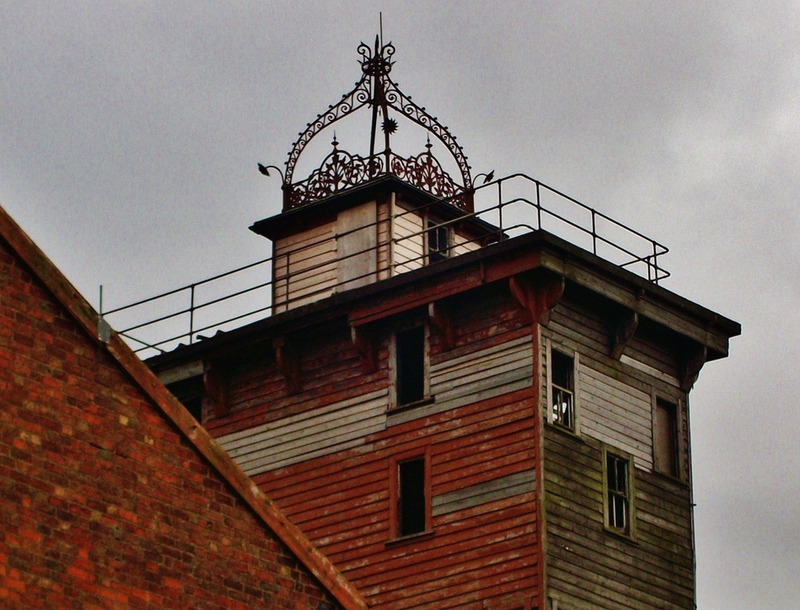 The timber hoist tower was added during the Maltings phase and the ornamental capping put up to celebrate Queen Victoria’s Diamond Jubilee in 1897. For by night they patrol the ill‑lit byways of your beach village, dogging the heels of a human guard who has his bow and arrow always at the ready. And when in the black hours the banshee cry of a bush baby all but stops your heart, you may be forgiven for supposing that this bristling team has got its man, impaled a hapless thief to the compound baobab. It is an unnerving thought. You keep your head down. Try to go with the flow, as all good travellers should. Anyone who has seen my post on The Swahili will know that I’ve had Lamu on my mind. The island lies off Kenya’s northern coast, and its Stone Town is one of the best preserved Swahili settlements, lived in for the last 700 years. We went there one Christmas, flying out of Nairobi in a small plane that let you watch the ground all the way there. This was comforting in some ways, but in others not: the bush country east of the capital is arid and little inhabited except by wildlife, and the coast hinterland, then as now, too often the haunt of Shifta (Somali bandits). Yet there was one especially striking moment that at once distracted me from other anxieties. It was the sight as we flew over the Tana River Delta and saw the red earth of the Kenya Highlands flowing out into the sea like blood: the country’s life force pumping away. It looked like a shark attack of epic proportions. I was glad when we touched down on Manda Island and our only concern was to catch the same ferry to Lamu as our luggage. A storm blew up as we chugged across the strait in a Lamu fishing dhow. We tourists huddled under the awning to keep dry as the world turned steely grey. Our captain though, out in the rain, simply secured his hat and looked resolutely to shore. 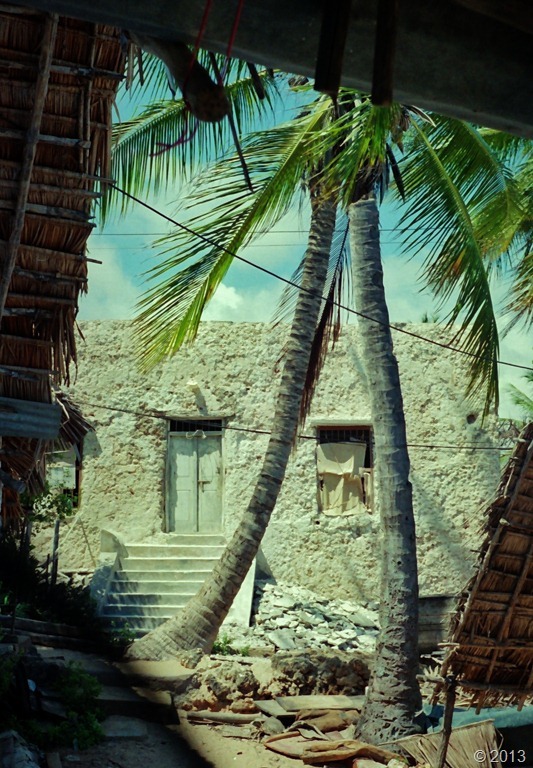 The rain did not last, and by the time we had put into Shela harbour, the coral rag walls of the houses were steaming; scents of jasmine and frangipani filling the air. As we followed our guide up a sandy path from the shore, I remembered it was Christmas Eve. It seemed we had stepped into a dream. The hotel was also a dream for someone as nosy as Nosy-Writer. It occupied an old merchant’s house in the centre of the village, and best of all our room was up in the palm thatch with the whole top floor at our disposal. Not only that, most of the walls were open to the elements and overlooked the village. Sadly it seems, the place no longer exists, so perhaps I really did dream it. Shela village square from our room with many views. In the foreground is a stack of the coral rag building blocks from which most of the houses are built. The spreading thorn tree was the place where the donkeys were parked until needed for transport. On Christmas Day we bumped into Azrael who sold us the most delicious, freshly cooked, fish samosas – a local speciality. The only problem with our room’s open-plan arrangement was that not only could I see into people’s kitchens, gardens and bedrooms, but we could hear everything too. 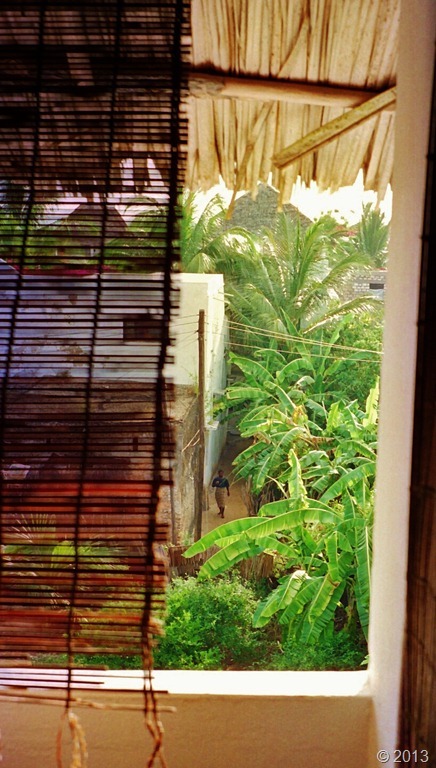 It made for nights of fractured sleep – radios playing, pots clattering, cats yowling, but mostly hee-hawing donkeys, Lamu’s equivalent of night-sounding car alarms. Then just as you were drifting back to sleep, the dawn call to morning prayer would begin, the sacred strains of Allahu akbar (God is greatest) winding through my faithless semi-consciousness. It was a disorientating start to Christmas Day. Yet later on, when we set off on the two-mile beach hike between Shela and Lamu town, from every quarter the locals greeted us – Happy Christmas, Happy Christmas. There was no stinting on hospitality, and that extended to the plentiful provision of nice things to lie down on, and what with the steamy tropical heat by day, and the wakeful nights, these were more than welcome. Lala salama, as they say in KiSwahili – sleep peacefully. You could say that Swahili culture was born of the monsoon winds, from the human drive to trade and of prevailing weather. For two thousand years Arab merchants plied East Africa’s Indian Ocean shores, from Mogadishu (Somalia) to the mouth of the Limpopo River (Mozambique), arriving with the north easterly Kaskazi, departing on the south easterly Kusi. 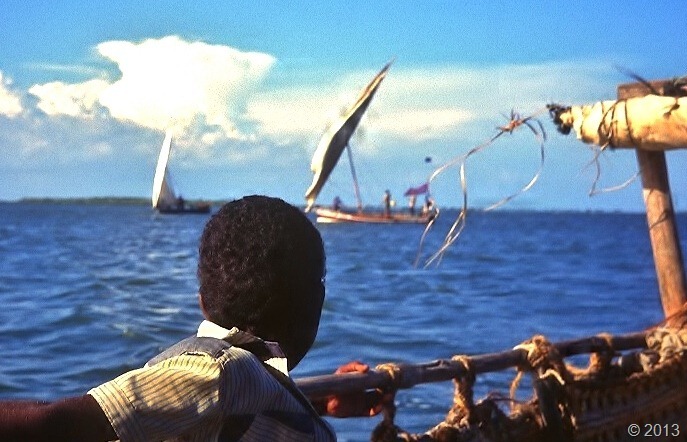 They came in great wooden cargo dhows, bringing dates, frankincense, wheat, dried fish, Persian chests, rugs, silks and jewels which they traded with Bantu farmers in exchange for the treasures of Africa: ivory, leopard skins, rhinoceros horn, ambergris, tortoise shell, mangrove poles and gold. 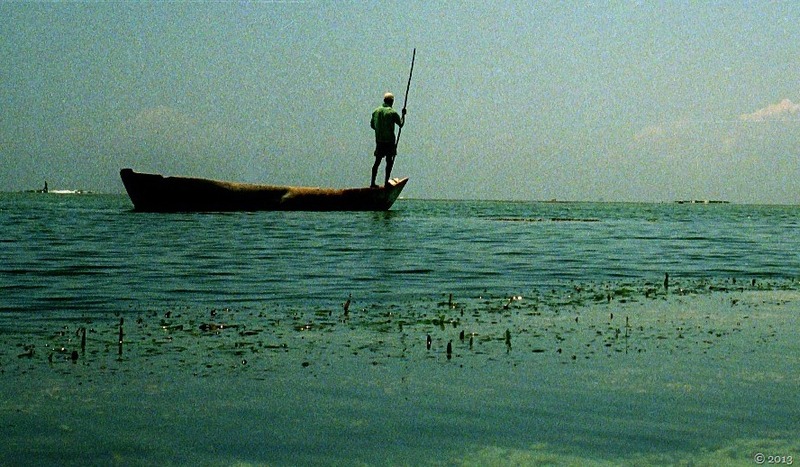 By 700 AD many Arab merchants were beginning to settle permanently on the East African seaboard, and the earliest mosques so far discovered date from around this time. 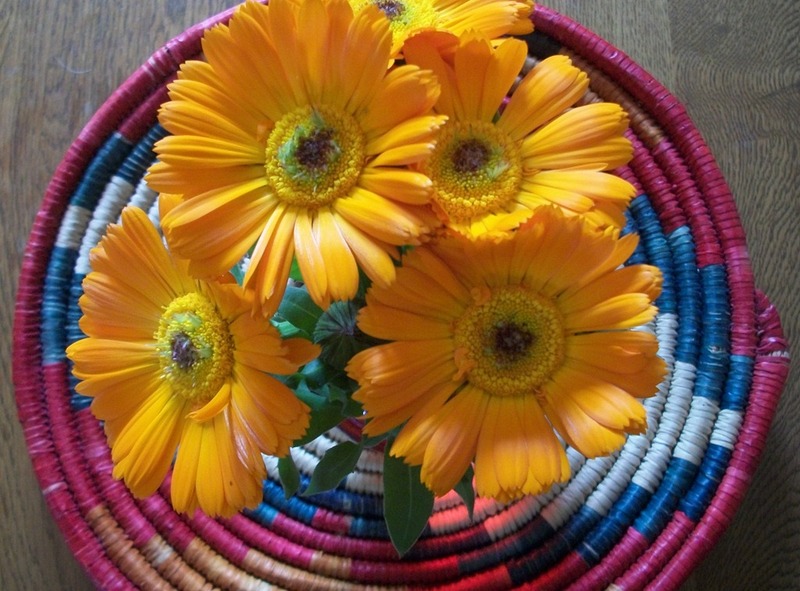 These new colonists would have married the daughters of their Bantu trading hosts and doubtless used these new local connections to expand their trading opportunities. Soon the African farming settlements were expanding into cosmopolitan port towns. Itinerant merchants and their crews would also have had plenty of chances to get to know the local girls. The weather served this purpose too. Between August and November the trade winds fail. Voyaging captains would thus put in to a known safe haven to wait for good winds. And while this was not a time to be idle, since boats had to be beached and the crew put to cleaning and sealing the underwater timbers with a paste of beef fat and lime, three months was a long time to be ashore and far from home. And so from this trade for trade, evolved a new culture, a loose confederation of self-governing city states stretching 3,000 km along the East African coast. Islam melded with Bantu customs and beliefs, and transactions’ fusion of Arabic with Bantu vernaculars gave rise to a new language, KiSwahili, which is still the lingua franca of East Africa today. Into this mix also came settler-traders from the Indian Subcontinent, shipwrecked Chinese sailors and refugee (Shirazi) Persians. Welcome, then, to the world of Sinbad, or Sendibada as the Swahili people call him, the ancient Empire of Zanj. 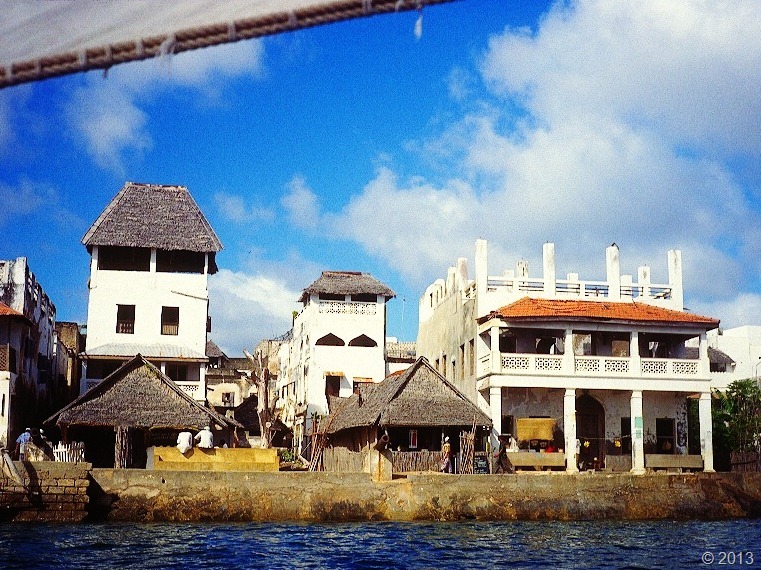 Lamu Town, off the Kenya coast, is one of the best preserved Swahili towns and has been lived in for over 700 years. It is now a World Heritage Site. 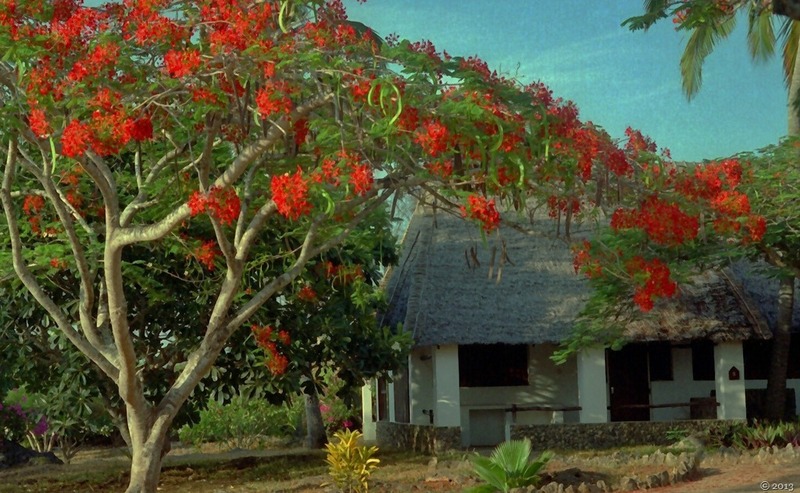 The building of the Swahili stone towns was apparently underway by 700 AD, the stone in question being coral rag, quarried from uplifted reef beds. 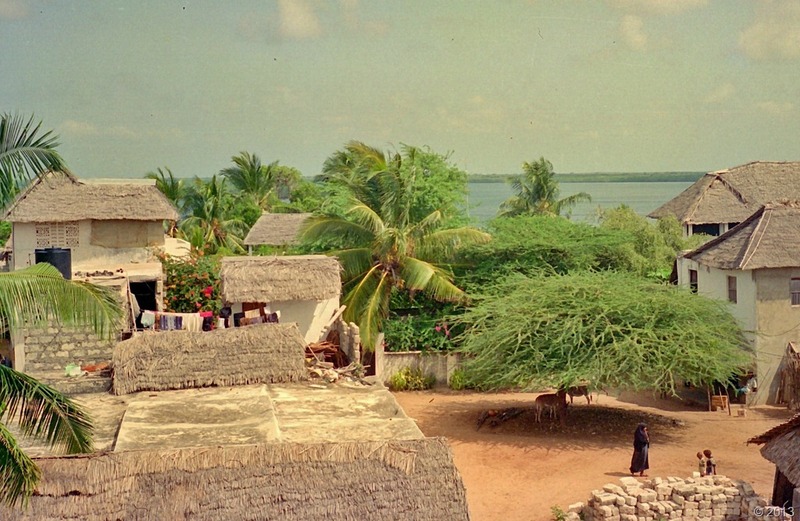 Lamu town is not one of the earliest or the finest, but it was once a city state ruled over by its own sultan. The remains of far older settlements have been discovered on the nearby islands of Manda and Pate. Today, of course, the dhow trade in East Africa has dwindled, and towns like Lamu are barely a shadow of their former selves. 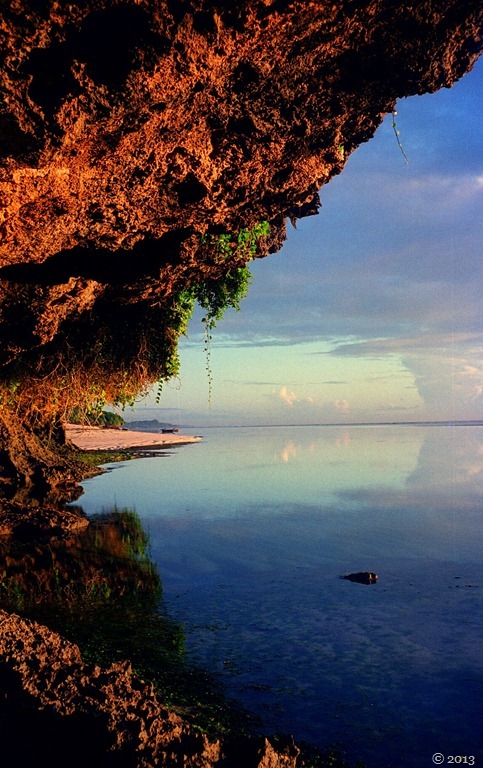 Its residents’ main source of income comes from tourism, fishing , boat building and farming. 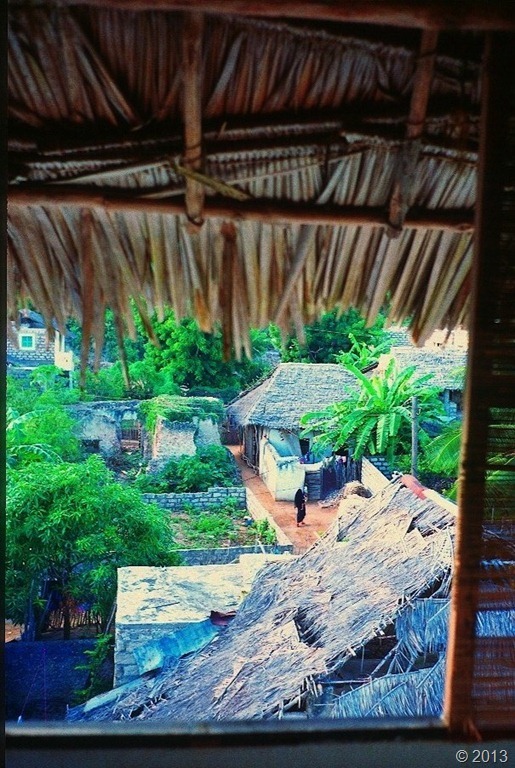 Shela Village, Lamu. 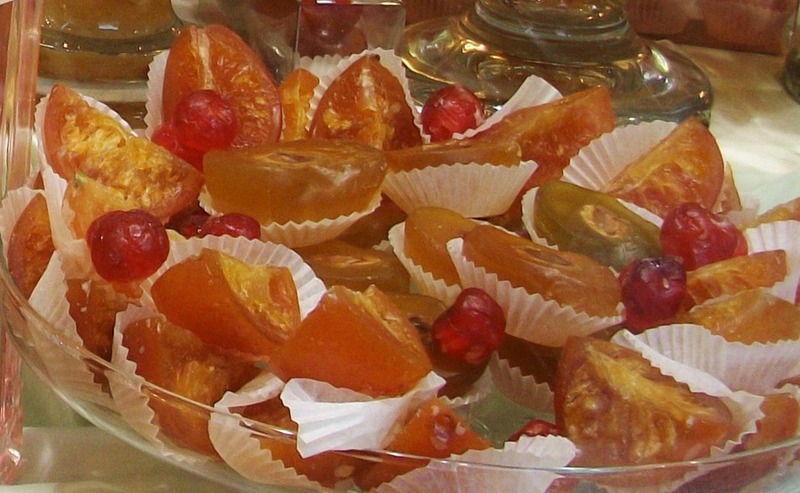 It seems like a scene for one of Scheherezade’s night-time tales. The annual dhow season used to start from home Arabian ports in August with ripening of the date harvest in the Tigris and Euphrates valleys. * Merchants from the Arabian Gulf and the Gulf of Oman would set sail for Basra at the head of the Persian Gulf where the dates were crated and taken on board. The size of a dhow was gauged not in tonnage but by the number of Basra date boxes it could take. 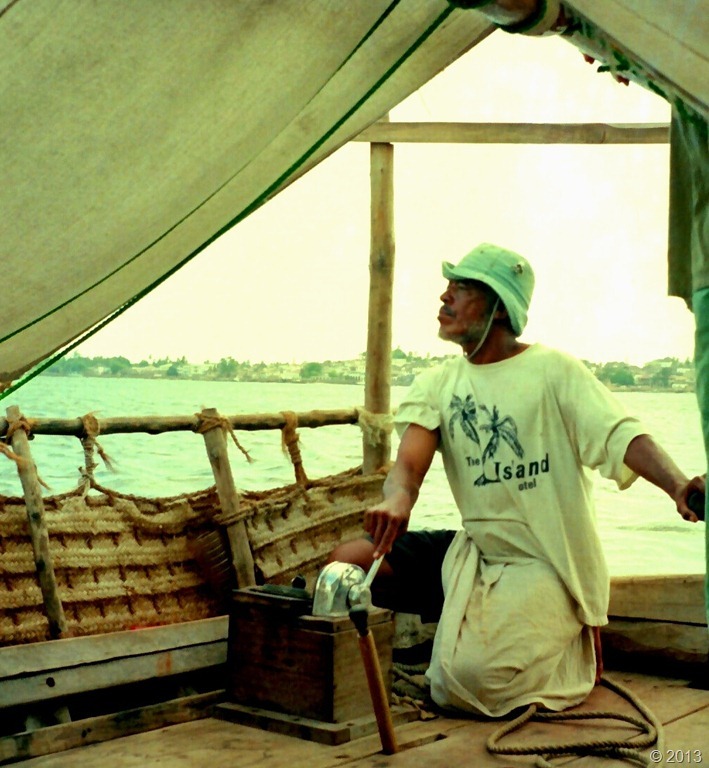 Thereafter, the dhow captains (nakhodas) might make for Aden to pick up salt or ply the Red Sea before heading south for Africa, trading as they went. Alternatively they might set off from the Gulf of Oman for Bombay, keeping the shore always in sight as they sailed east. Then, after trading down the Indian coast to Cochin, the winds would take them back across the Indian Ocean to the Comoros Islands where they would wait for the Kusi to take them homeward up the African coast. The trade routes, of course, stretched far beyond the Indian Ocean and, during the 11th to 16th centuries when many of the Swahili city states were having their golden age, dhow merchants found ready buyers for exotic goods from China, Cambodia, Thailand and India. Today if you walk along the beach at Lamu you can pick up pieces of ancient Chinese porcelain. 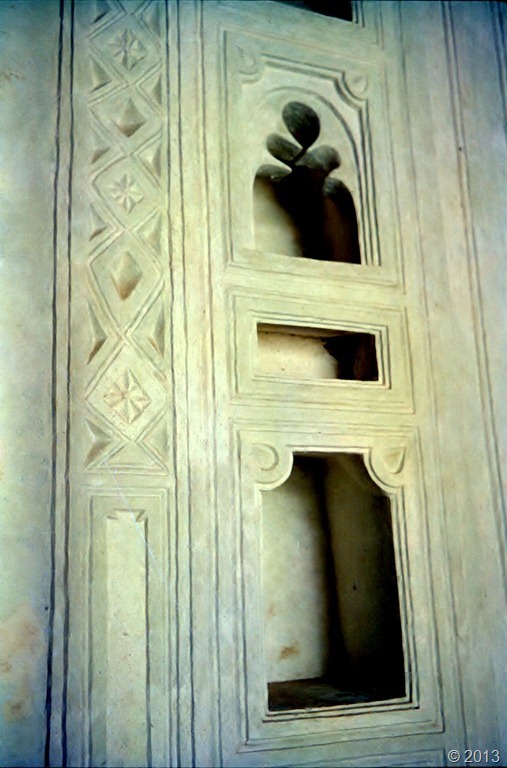 These wares were very popular from the 14th century, and Swahili town houses were fitted out with ornately plastered display niches (zidaka) to display their prized possessions. 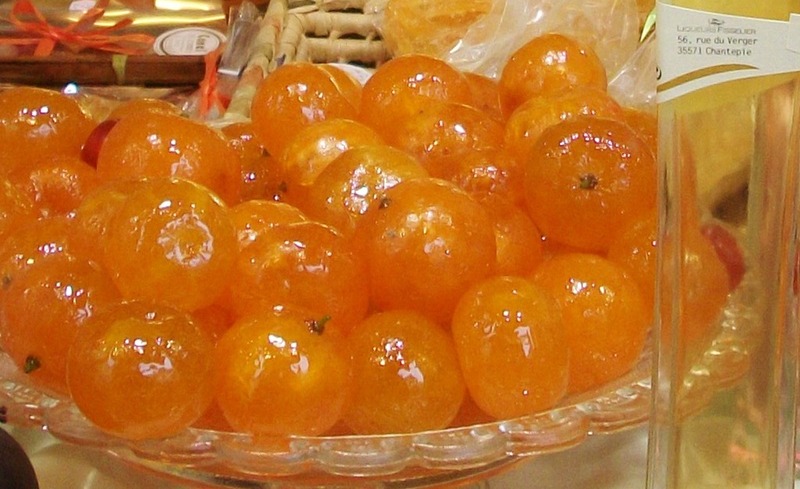 It is also true that exotic goods went out from Africa. In the early 1400s, the Swahili Sultan of Malindi (north of Mombasa) despatched to the Chinese Emperor via the King of Bengal, a live giraffe along with a ‘celestial stag’ or oryx. This was taken as an ‘open for business’ calling card and thereafter the Chinese merchant ships sailed directly into East African ports. 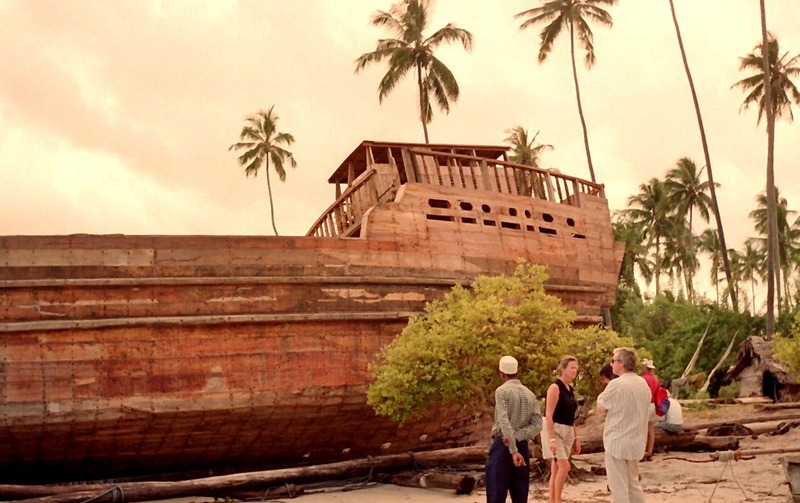 Although the days of the big dhows are over on the Kenyan coast, we saw this one being newly built on Maruhubi Beach near Zanzibar’s Stone Town in 1999. It had been commissioned by a Somali merchant. 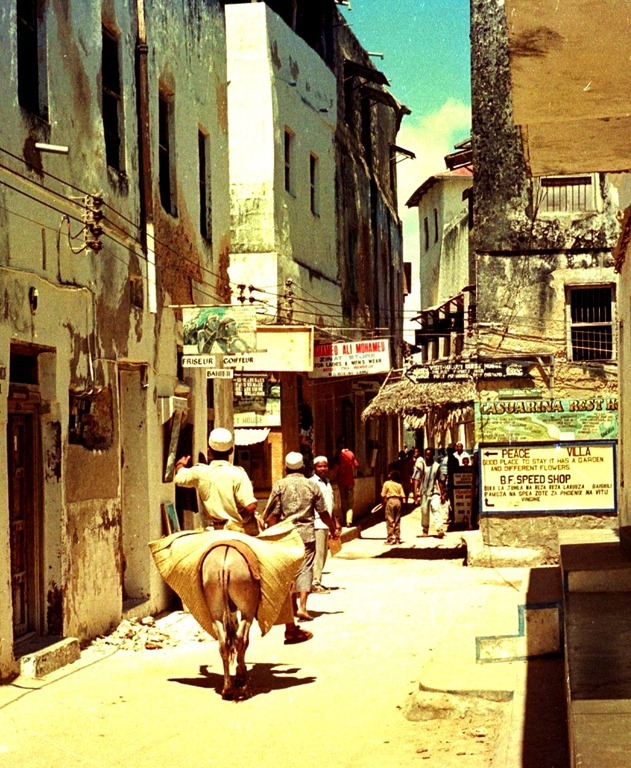 Lamu’s main street in recent times; only donkey transport will do for deliveries. 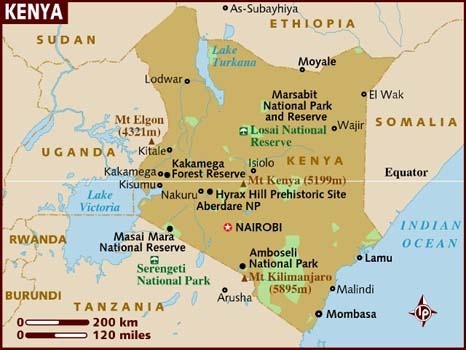 Much of the wealth of the Swahili states came from African gold. 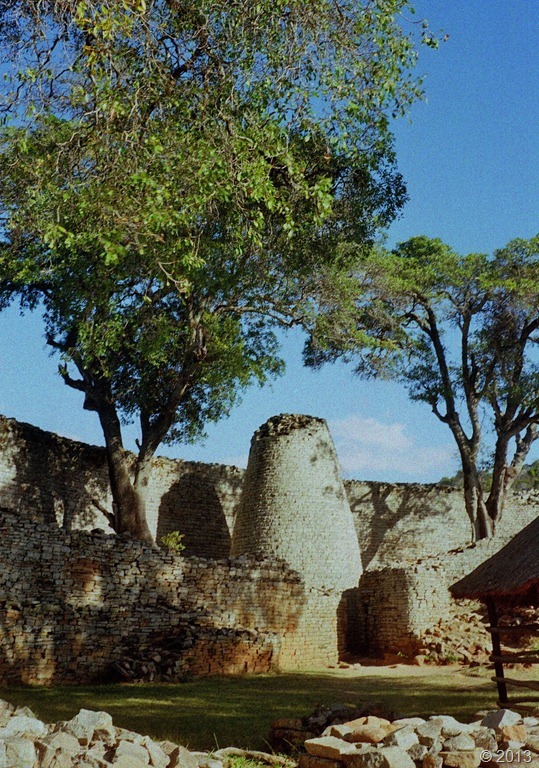 During the fourteenth and fifteenth centuries the Shona rulers of Great Zimbabwe, far inland, were trading with the coastal Swahili city of Sofala (Mozambique). The Shona traders exchanged massive supplies of gold and ivory for Arab cloth. This gold drove the East African trade and it was not long before it was attracting European traders. And so into the midst of this prosperity sailed Vasco da Gama (1498). 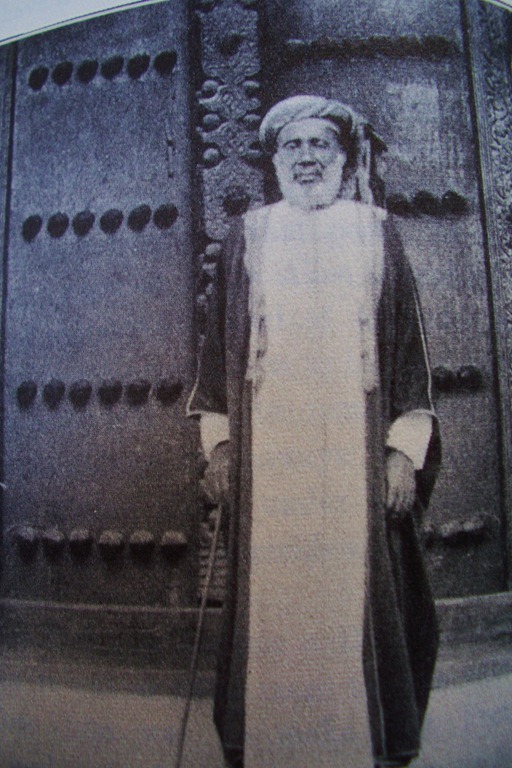 He was pioneering a maritime route to India, but after his glowing accounts of the wealth he had observed while putting in at Mombasa and Malindi, (the sultan robed in damask trimmed with green satin and sitting beneath a crimson satin sunshade) Portuguese eyes turned to the East African coast. They built a number of forts there, including ones at Sofala and Mombasa, using them as strongholds in their bid to seize the Indian Ocean trade from Arab merchants. 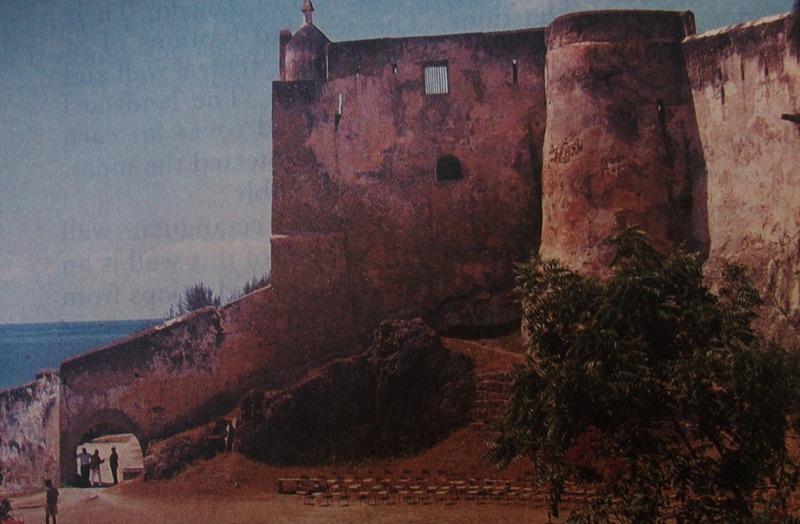 The Portuguese built Fort Jesus in Mombasa in 1591. The building of such forts along the Swahili coast was part of their strategy to seize control of the Indian Ocean trade from the Arabs. A century later they were driven back to their Mozambique strongholds by Omani forces. There followed many bloody battles over the next two hundred years, and it was during this time that most of the Swahili city states fell into decline. Their only hope was to call for outside help, and it came in the shape of the Omani of Muscat who made numerous attempts to oust the Portuguese, finally pushing them back to Mozambique in the 18th century. By the 19th century much of Swahili coast was ruled by the Sultans of Oman, and in 1832 they moved their capital to Zanzibar. 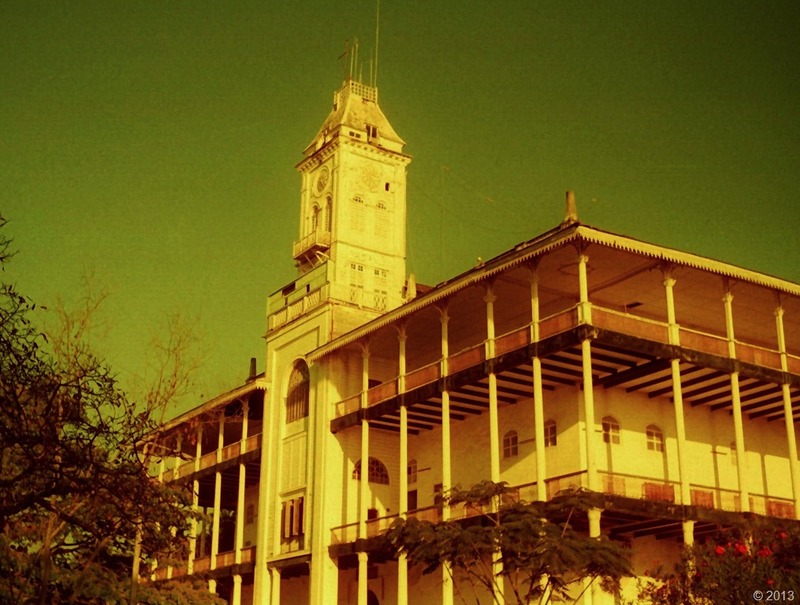 The Sultan’s Palace ‘The House of Wonders’, Zanzibar. The British navy bombarded it in 1896 in the 45-minute war. So now comes the real sting in this Arabian Nights’ tale. I have not mentioned the ‘S’ word. And for hundreds of years SLAVES were indeed a major ‘commodity’ shipping out from Swahili ports for destinations in Arabia and Persia. But it was not until the 19th century that the worst excesses of this terrible trade were widely documented. Under Omani rule slaving expanded. The Sultans had clove plantations to be worked. So, instead of relying on supplies of human cargo delivered by African traders from the African hinterland, Swahili slavers began to lead their own expeditions into the interior. Here they rounded up both slaves and ivory, forcing their hapless captives to carry the tusks hundreds of miles to ports like Mombasa. One of the most notorious slavers was Tippu Tib. 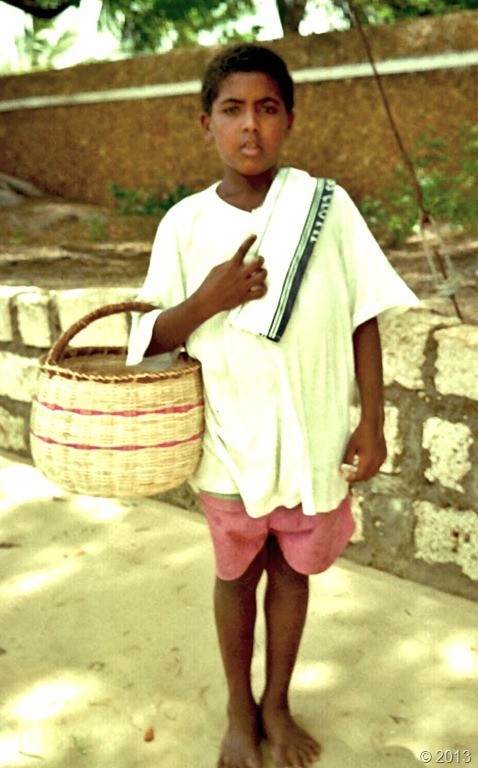 His mother was a Muscat Arab aristocrat, but his father was a Swahili trader. His reign of terror extended across East Africa into what is now the Democratic Republic of Congo. By 1895 he had seven plantations and 10,000 slaves. It was only in 1873 that the Zanzibar slave market was shut down. Tippu Tip the Zanzibari slaver (1837-1905), and the memorial to his human cargo on the site of Zanzibar’s slave market. At its height, some 50,000 souls were trafficked through this market each year, and this was only ONE market on the Swahili coast. The Sultans further exploited the slave market by playing the Portuguese off against the French. 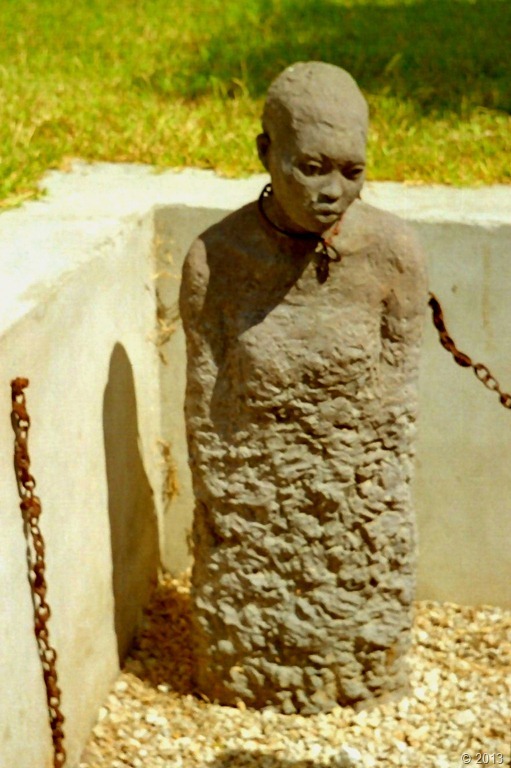 Although the Atlantic slave trade had ceased by 1834, the buying of slaves by European and Arab merchants continued into the twentieth century. The Zanzibar slave market closed only in 1873. The subject of slavery now brings me back to Lamu where I started this tale. 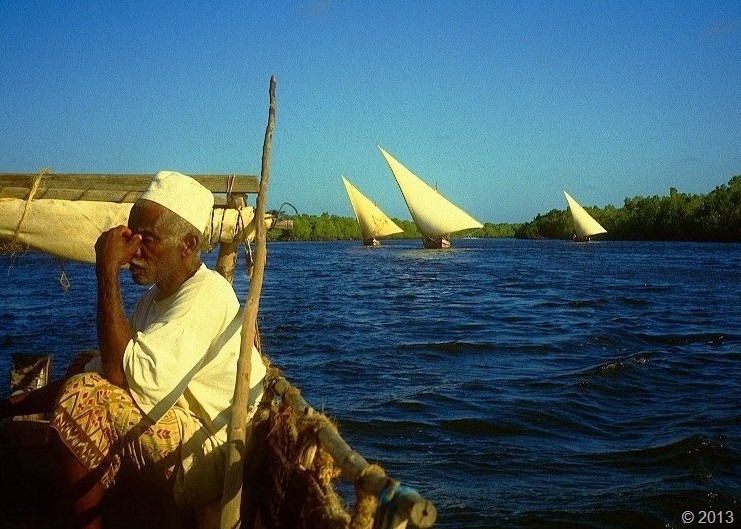 By 1652 the Lamu had had more than enough of the Portguese and called on Oman to help see them off. 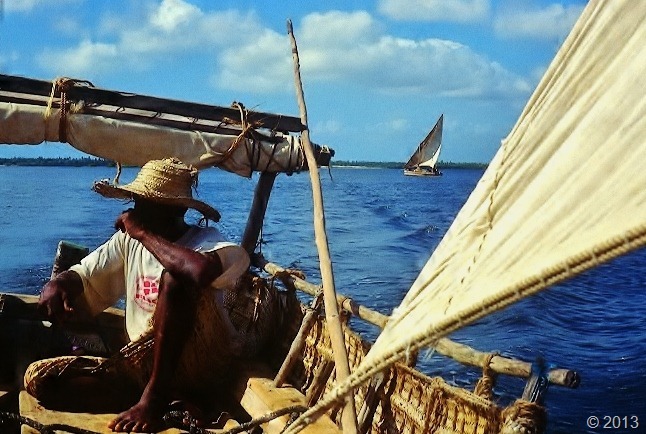 Thereafter Lamu became an Omani protectorate which led to a revival of the town’s fortunes. Slaves were also the chief export, and in fact the trade was not outlawed here until 1907, by which time Kenya (British East Africa) had been a British Protectorate for twelve years. 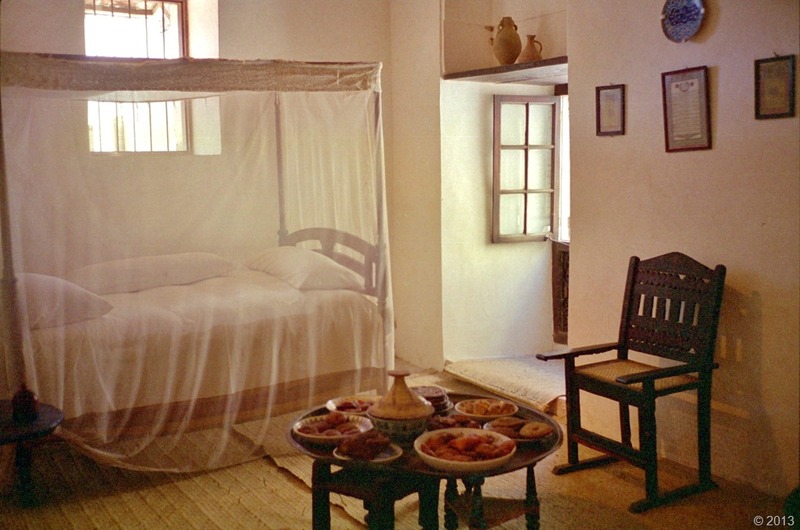 The Swahili House Museum, Lamu, shows what life was like in an 18th-19th century merchant’s home. So what of the future? 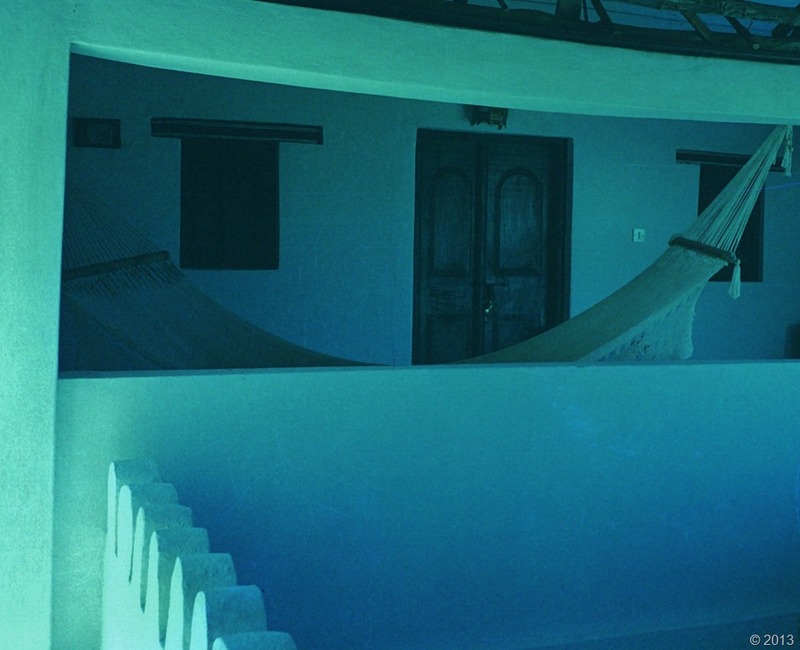 Will places like Lamu slumber away, selling themselves as romantic retreats for lotus-eating tourists. What kind of lives will their young people have ? Will they not simply have to leave? Or are there new ventures afoot in this Land of Zanj? Word has it that the Chinese have come calling once more, and not in response to gifts of giraffes, or to deliver more crates of blue and white porcelain. Now they have plans to turn Lamu into the biggest port in East Africa, opening up trading access for land-locked South Sudan and Ethiopia. So begins a new chapter in gyre of Indian Ocean trade. Today, it is not the Kaskazi or the Kusi that will dictate its destination and progress of this multi-ethnic enterprise, but diesel and commercial imperative. In some ways, then, not much has changed.